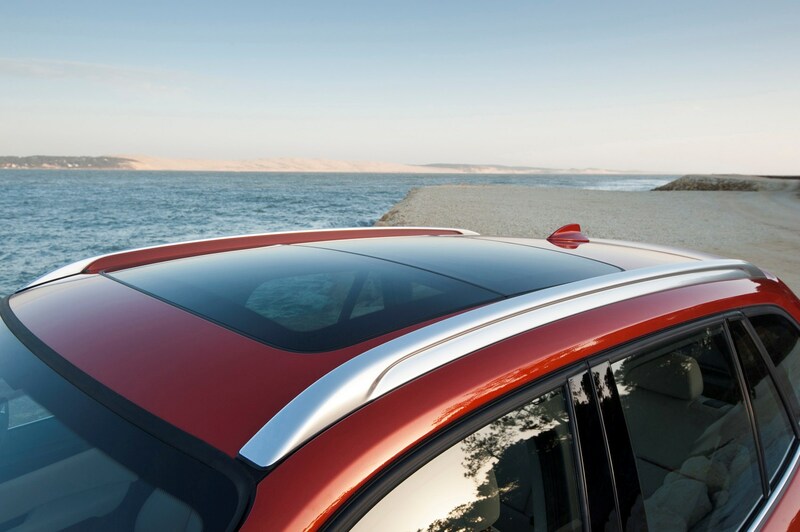 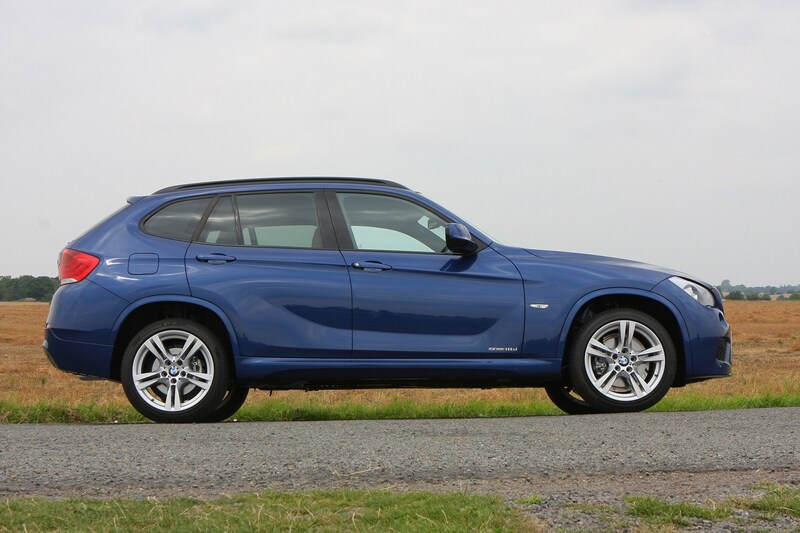 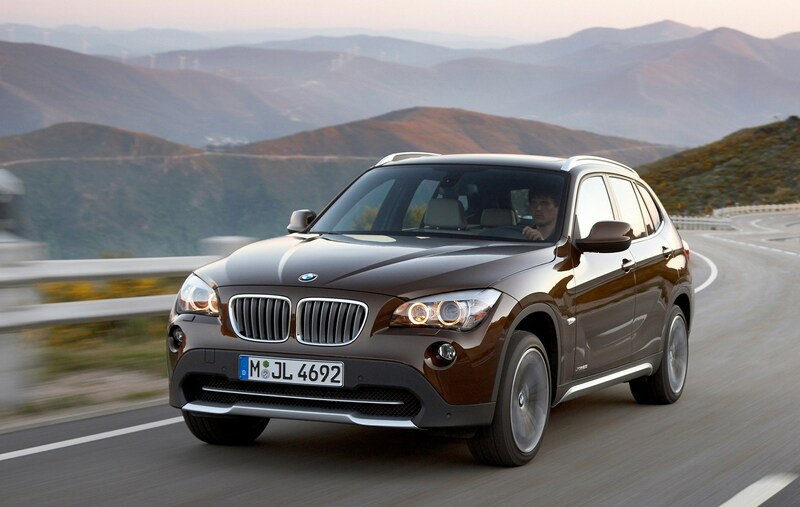 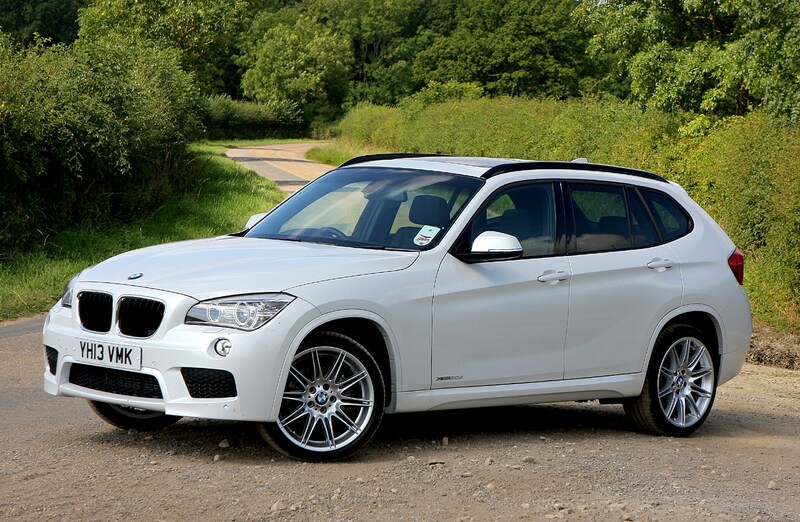 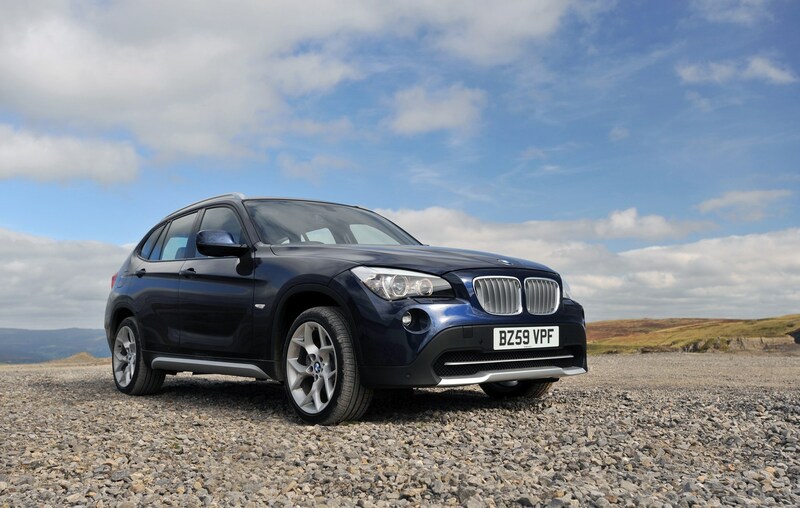 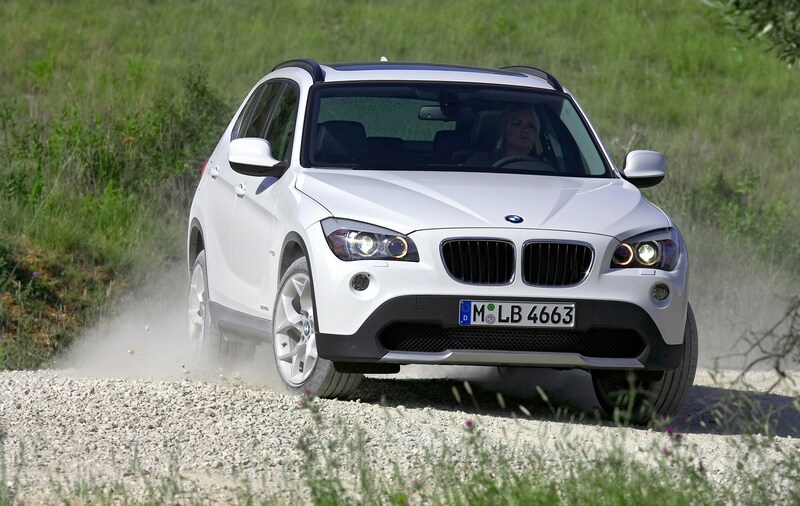 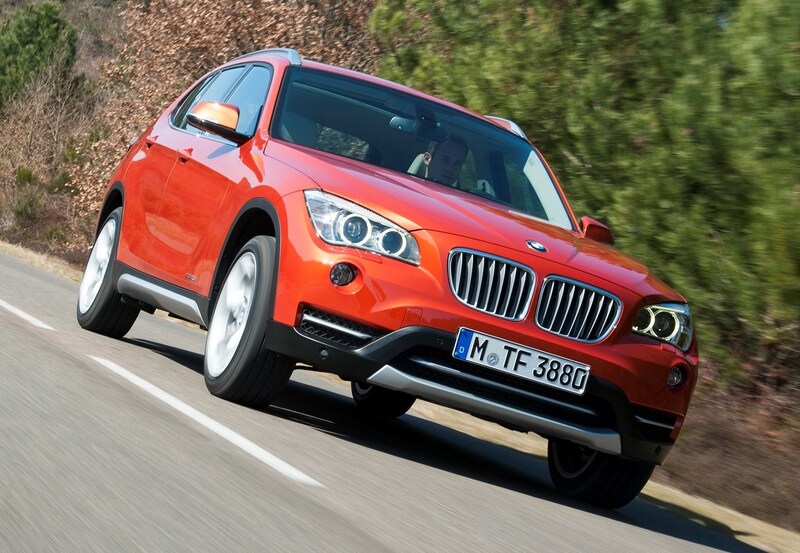 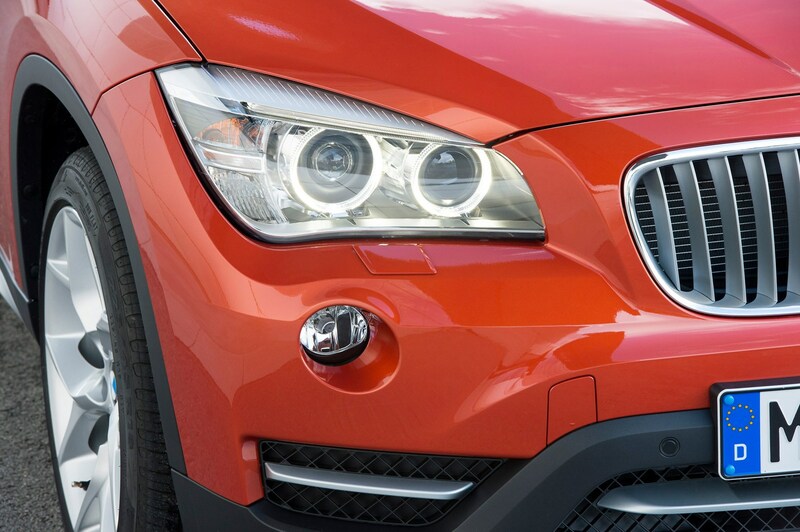 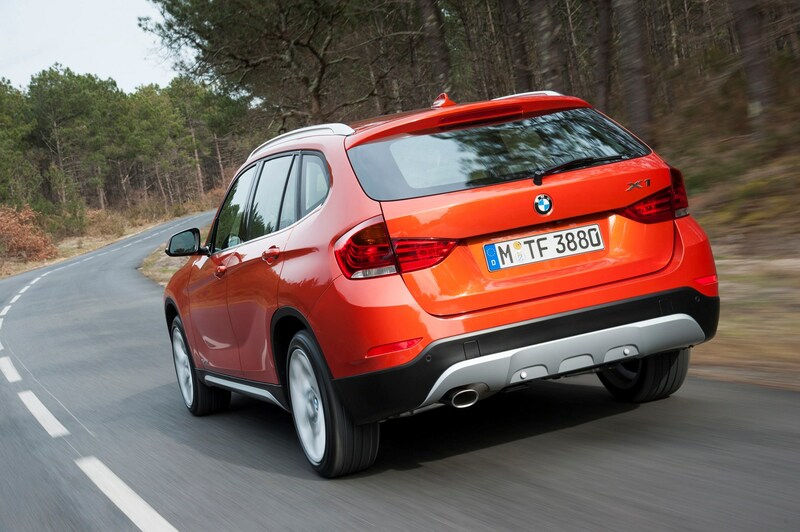 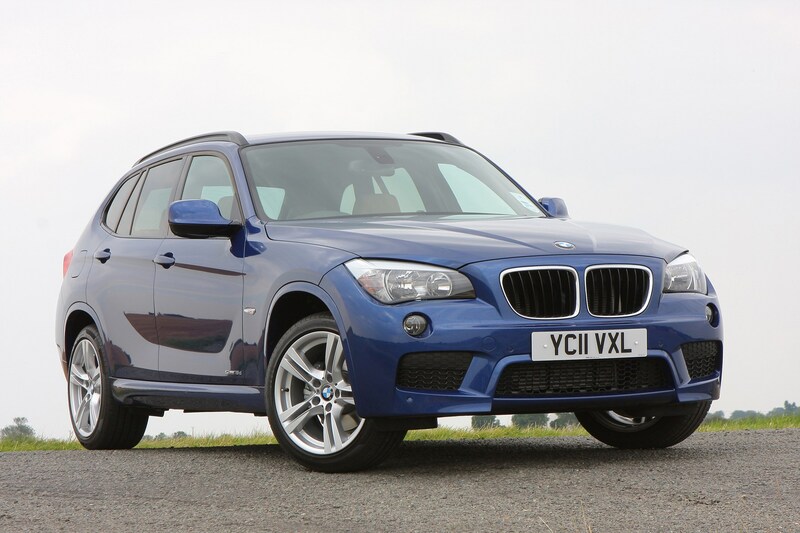 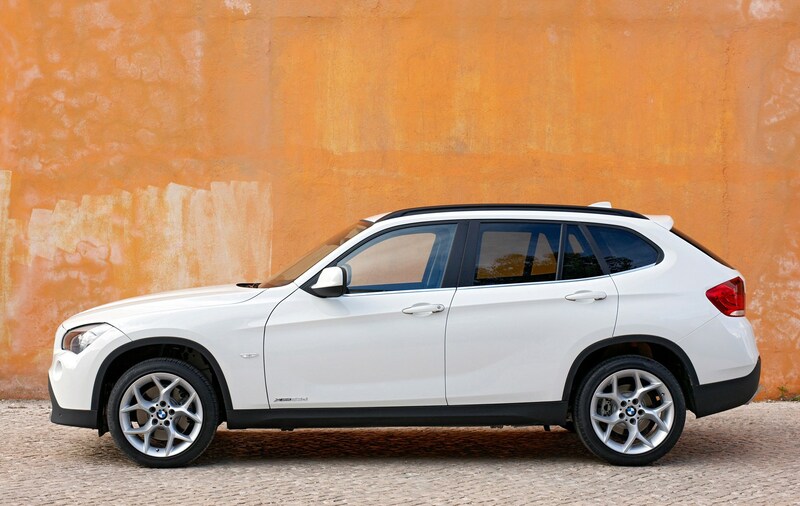 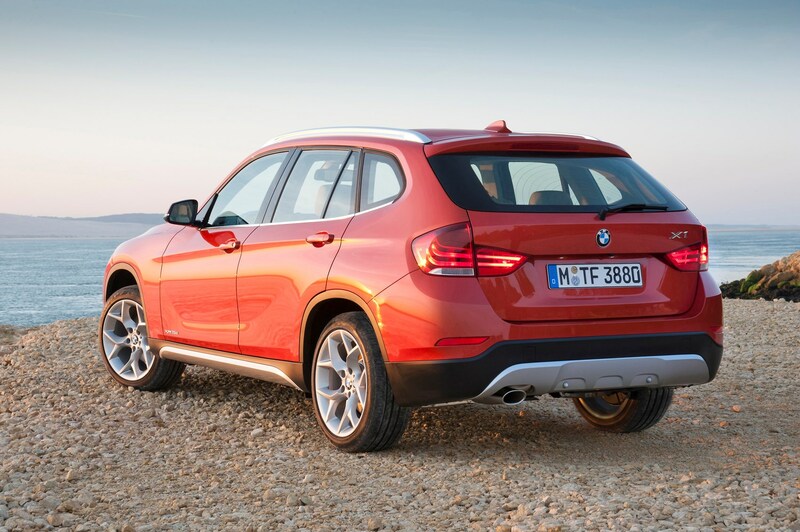 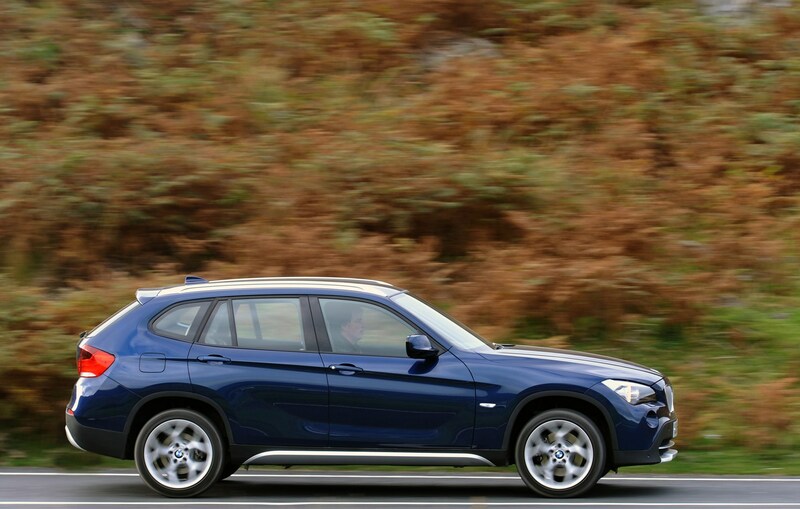 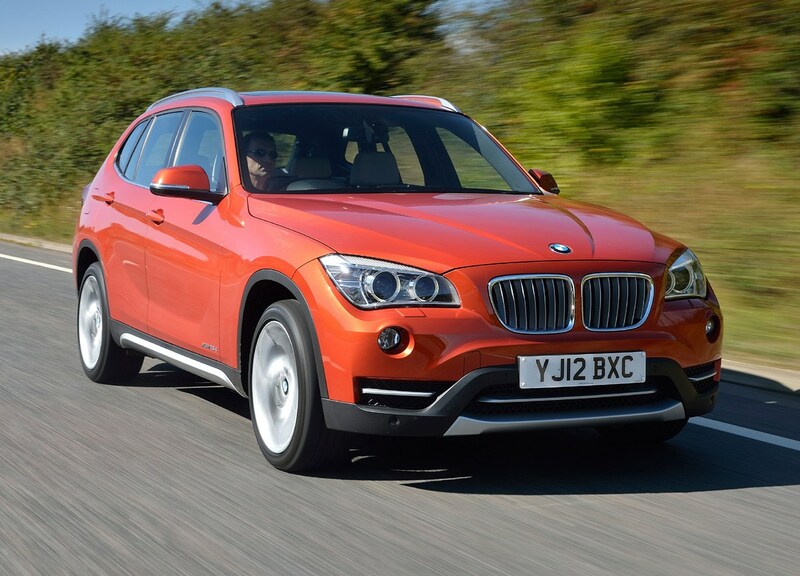 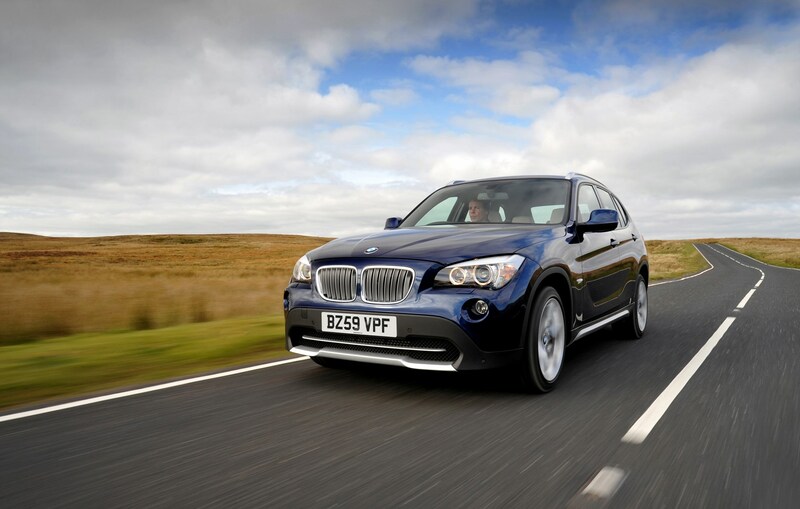 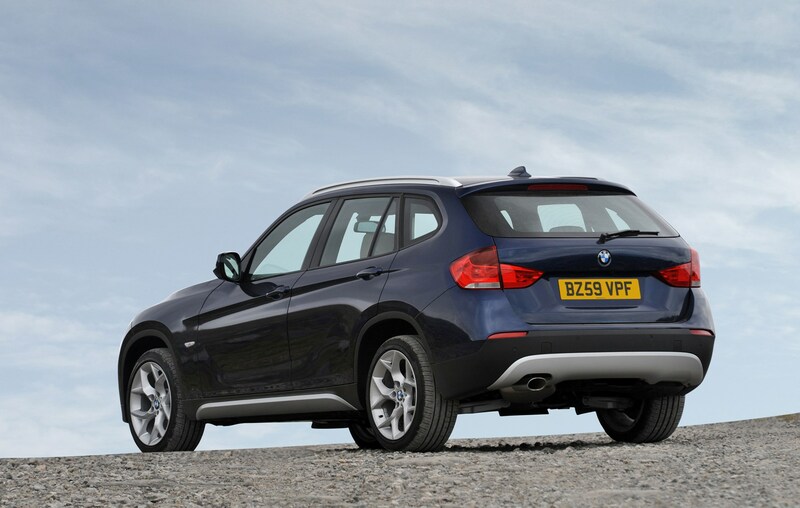 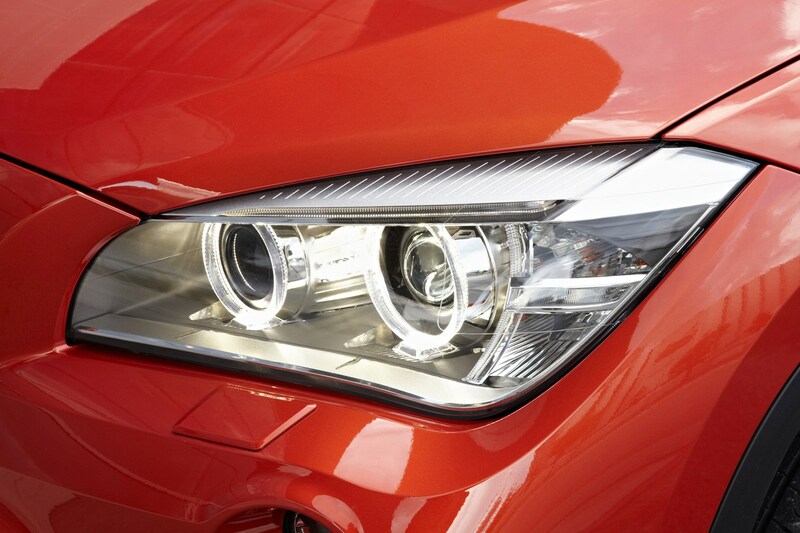 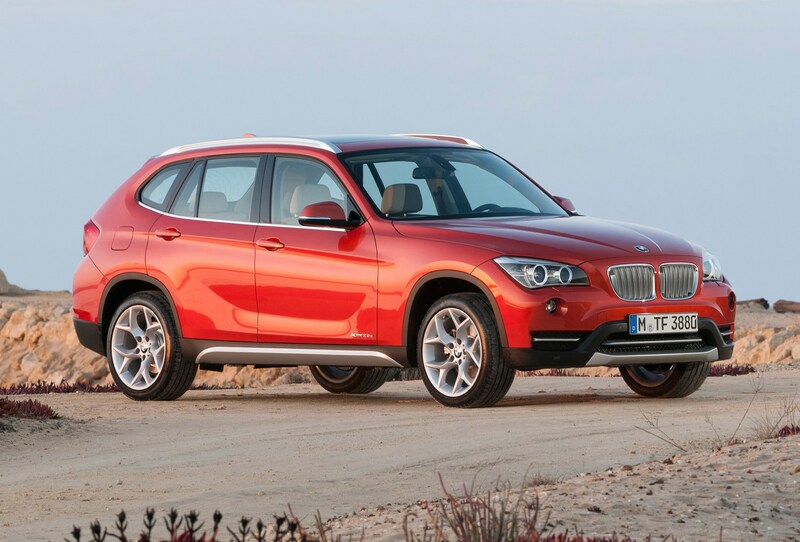 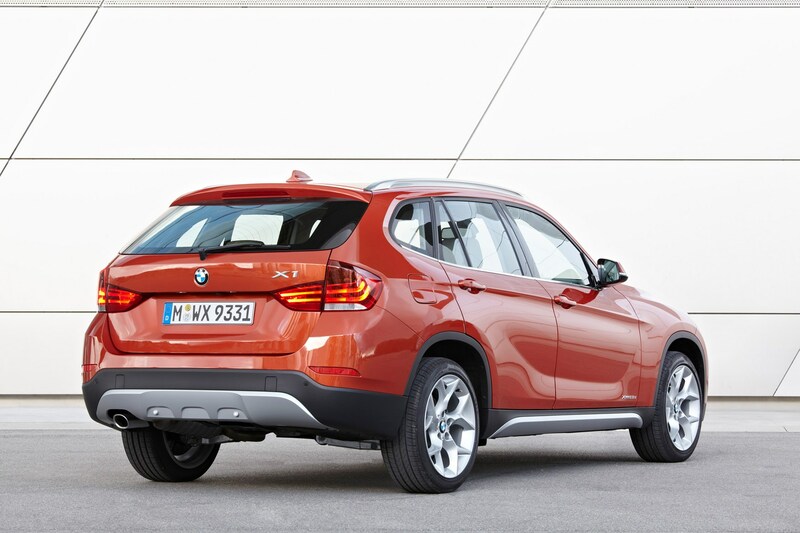 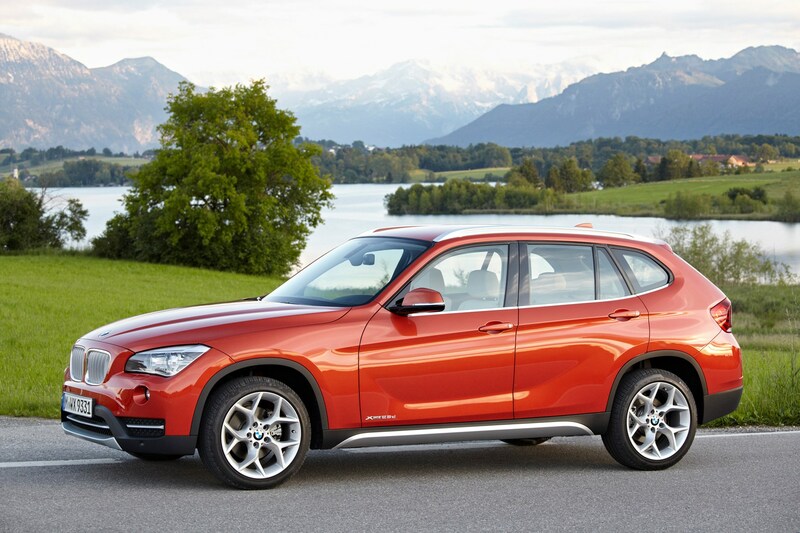 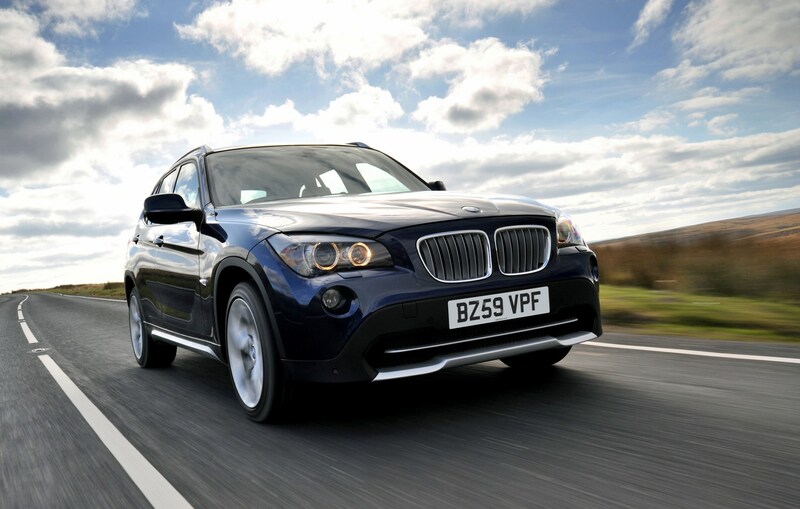 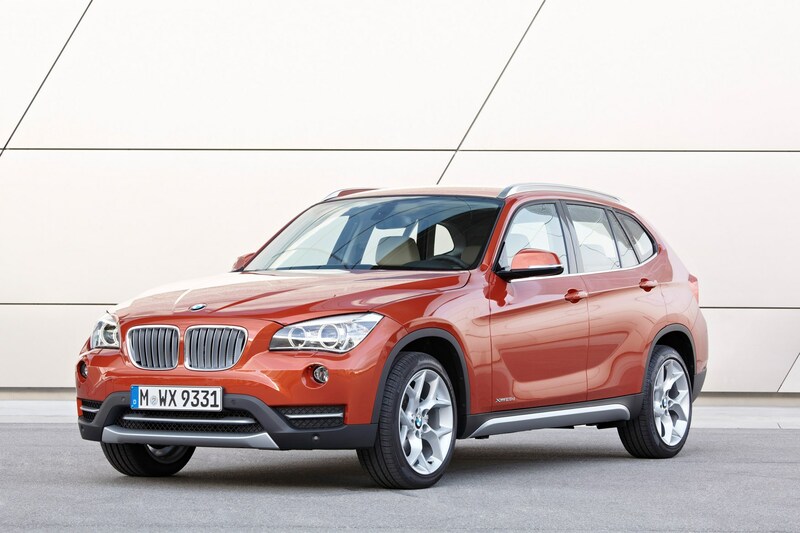 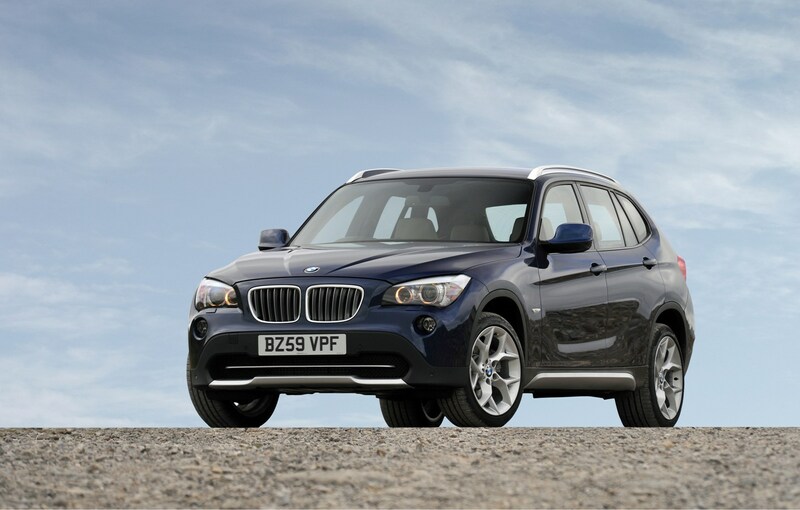 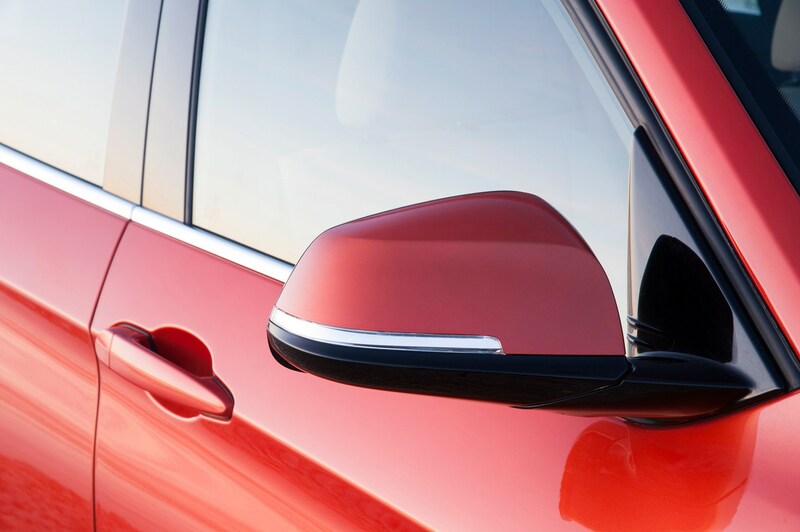 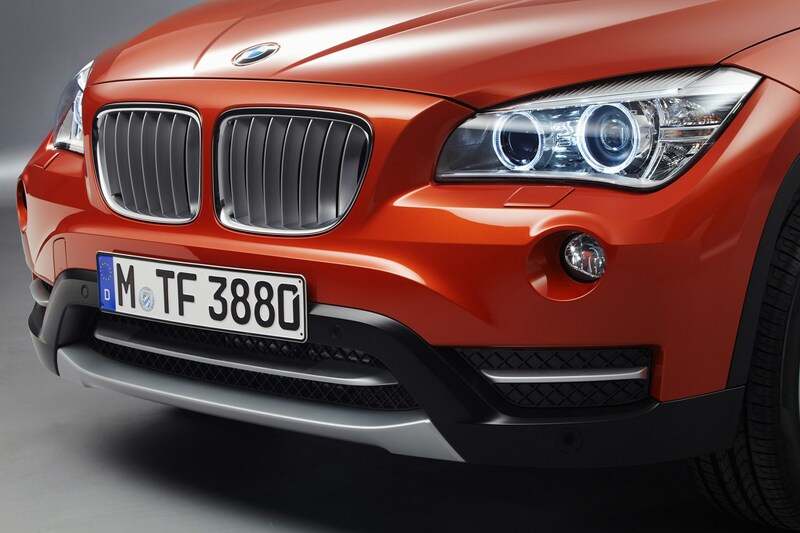 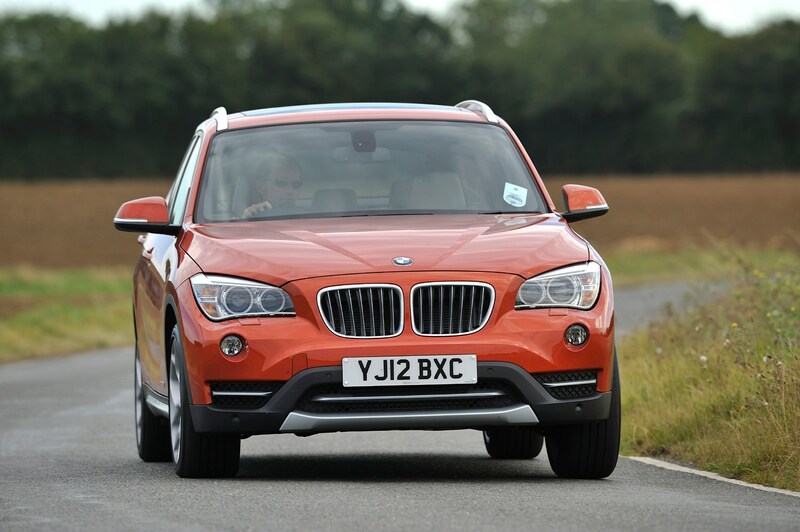 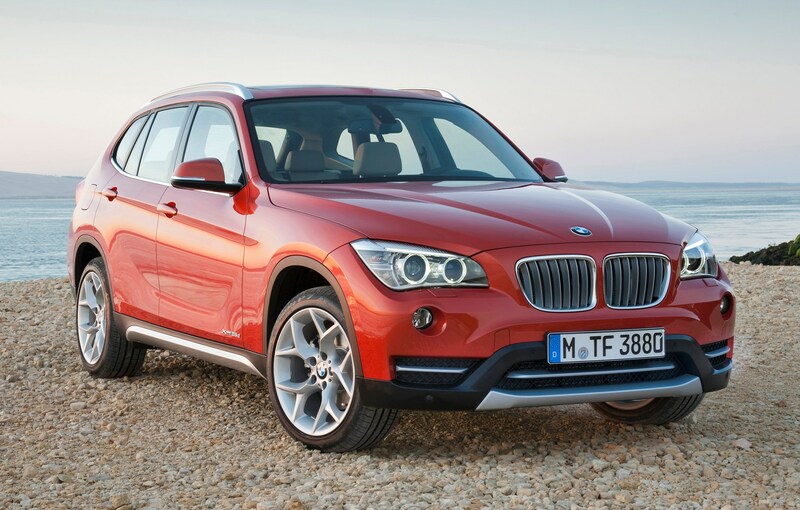 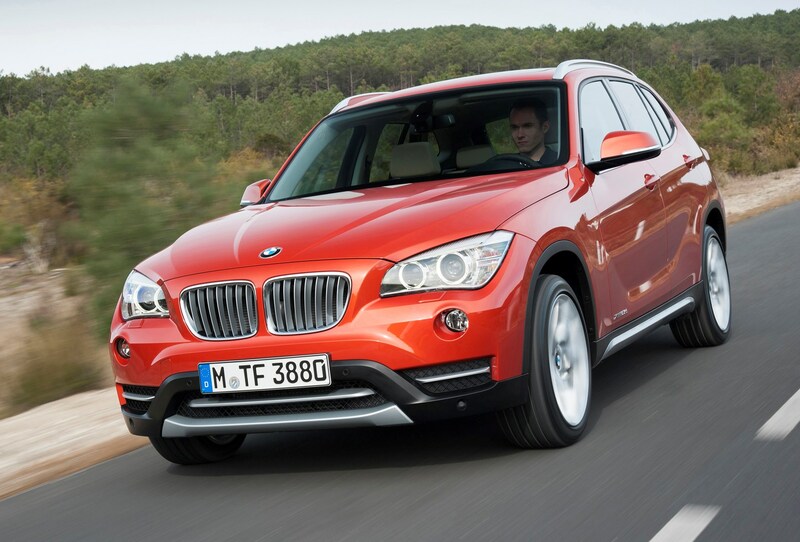 The choice of BMW X1 4x4 performance is restricted to diesel engines only, but there are two-wheel drive models (badged sDrive) and four-wheel drive models (xDrive) available. 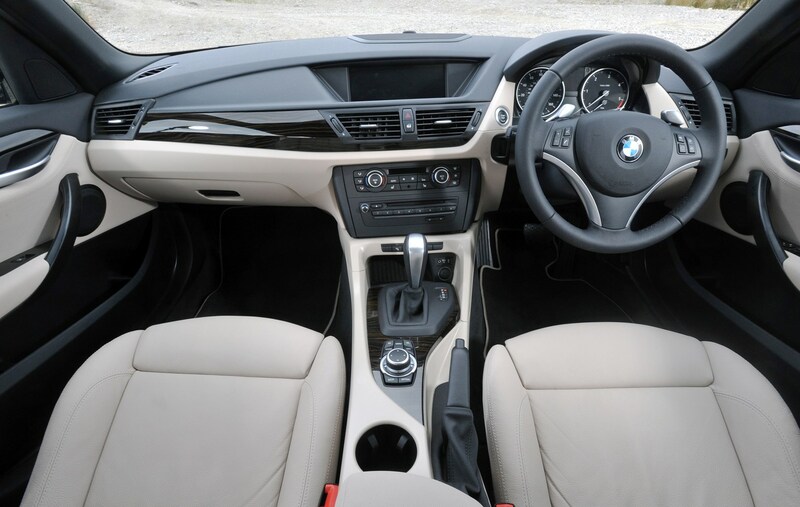 The same four-cylinder two-litre diesel engine is used in all versions, but in differing power outputs, starting with the sDrive18d which has 143bhp and manages the 0-62mph sprint in 9.6 seconds while returning 54mpg - making it the most economical choice. 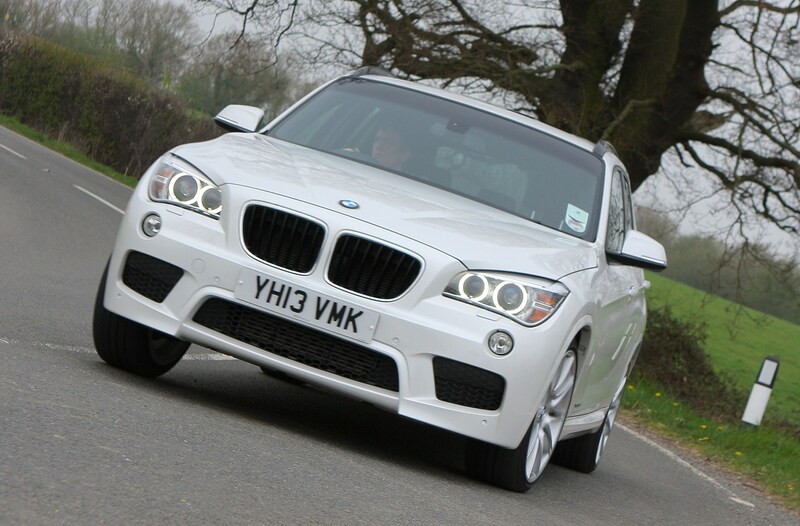 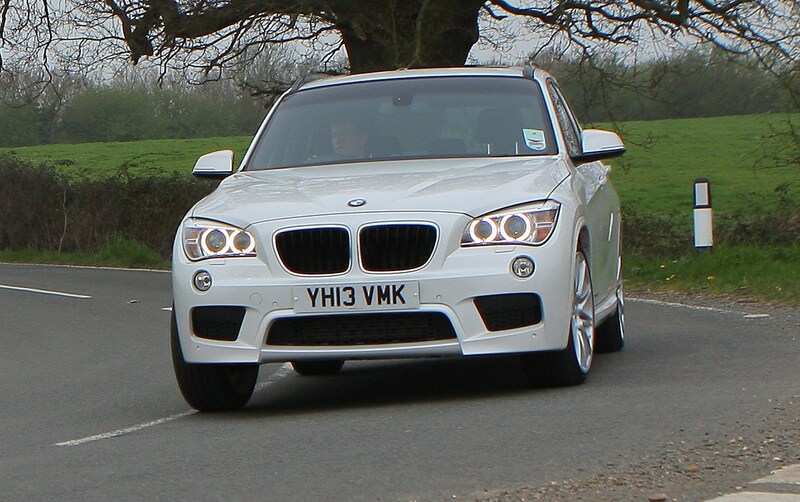 It's also good to drive, with well-spaced gear ratios and enough torque to make overtaking easy. 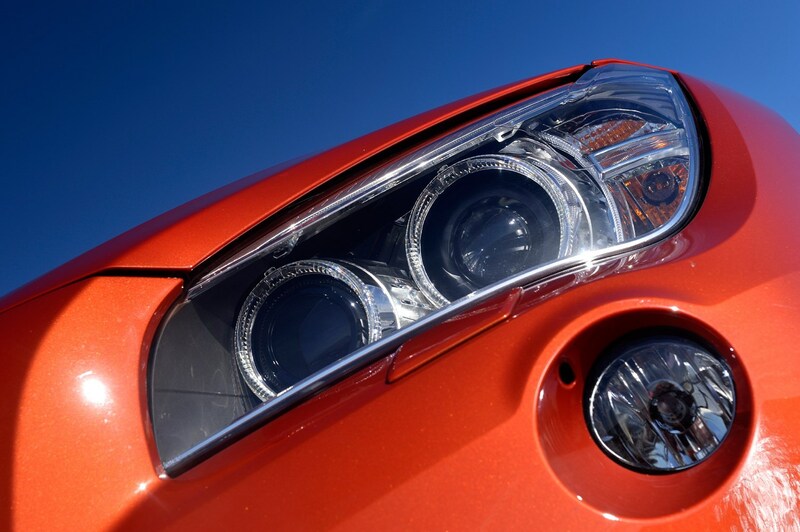 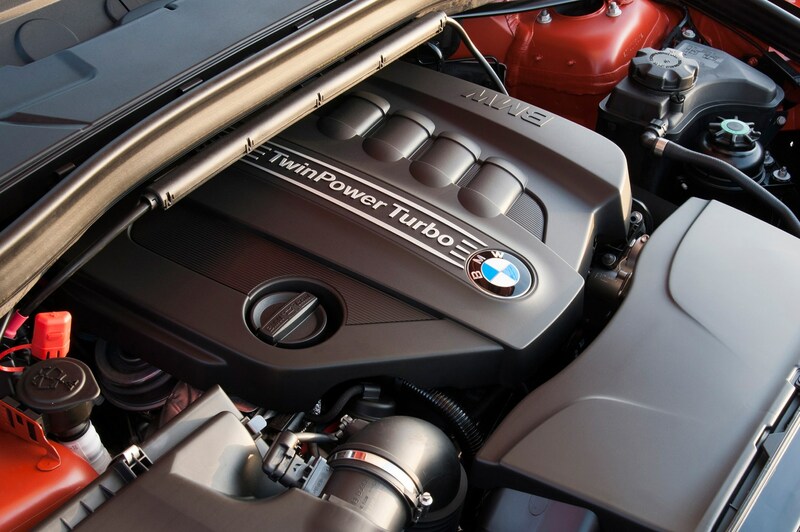 Thanks to the flexible nature of the engine it will also pull strongly from low revs in a high gear. 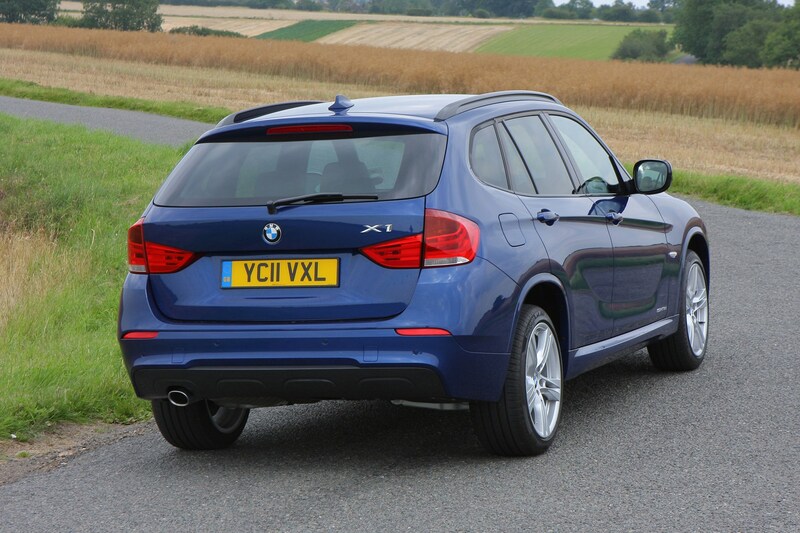 The four-wheel drive xDrive18d is half a second slower from 0-62mph but economy is still an impressive 50mpg. 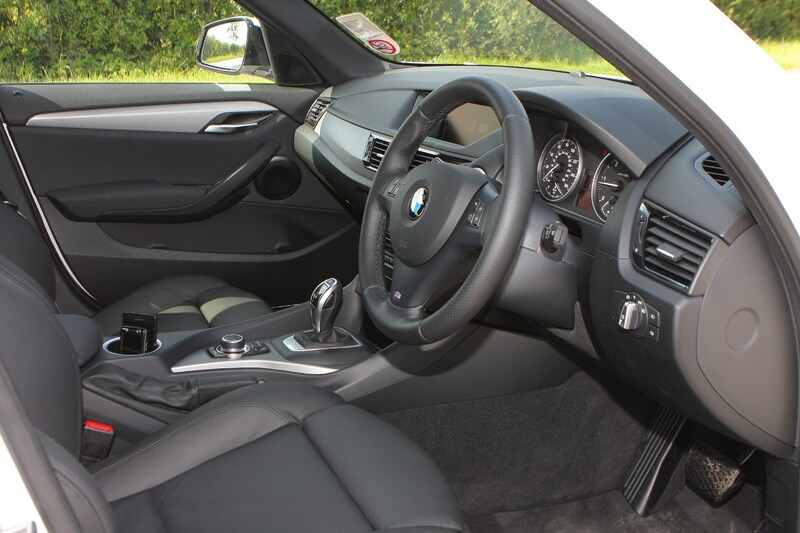 The sDrive20d is the most popular choice and boasts 184bhp while accelerating from 0-62mph in a sprightly 7.8 seconds, helped by impressive low down pulling power. 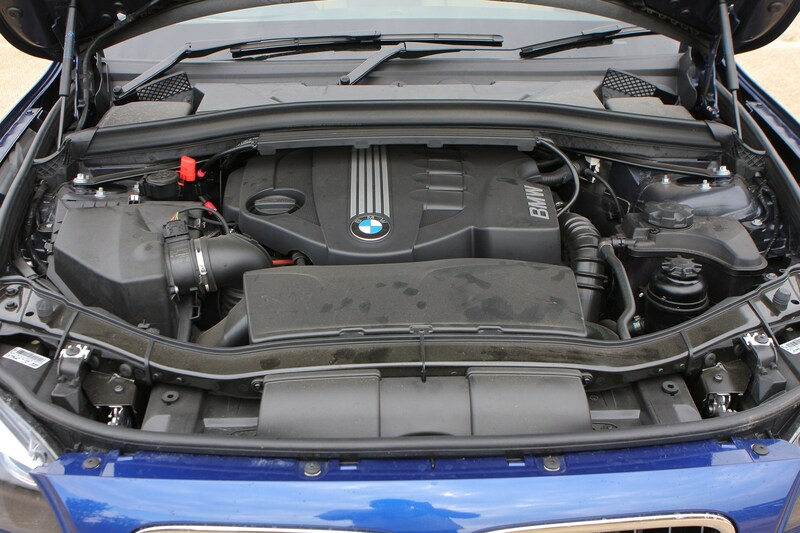 This engine replaced the previous 177bhp version in mid-2012. 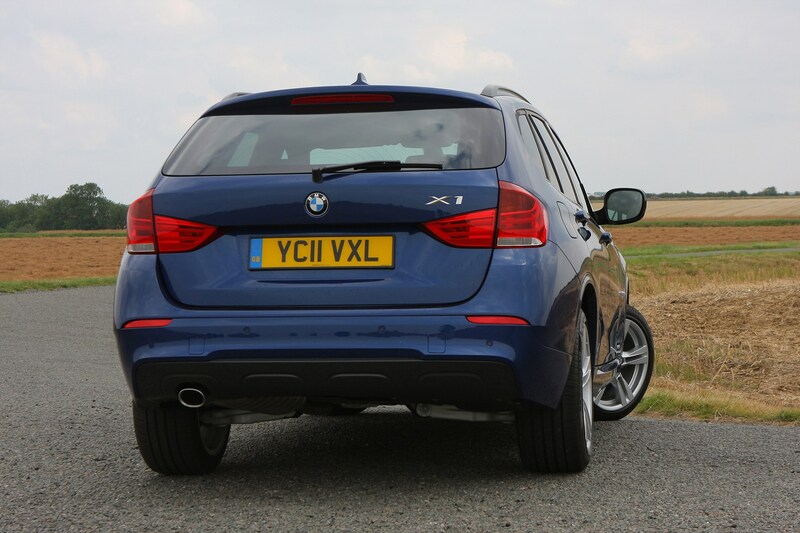 Despite the extra power, this version is only marginally less economical than the sDrive18d and can average 57.6mpg while the xDrive20d is capable of 51.4mpg. 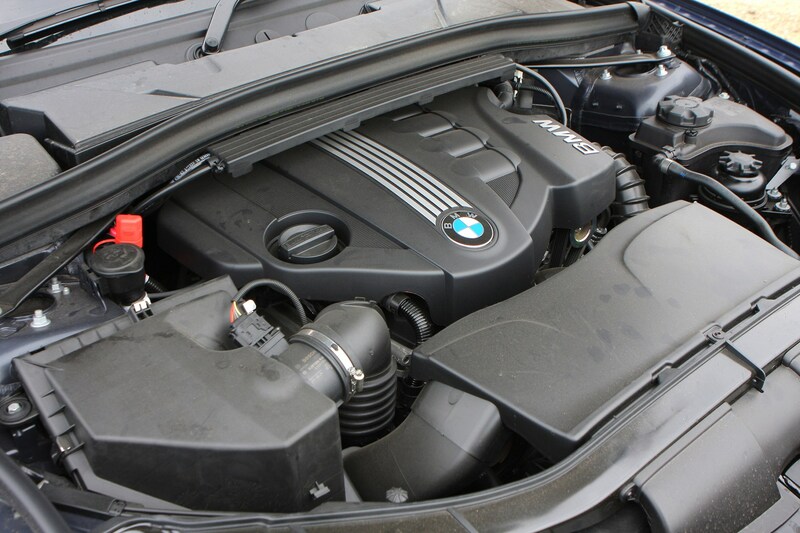 This engine seems a little noisy in the X1 compared to other models such as the 120d and can feel a tad sluggish at times, but it has decent in-gear pulling power. 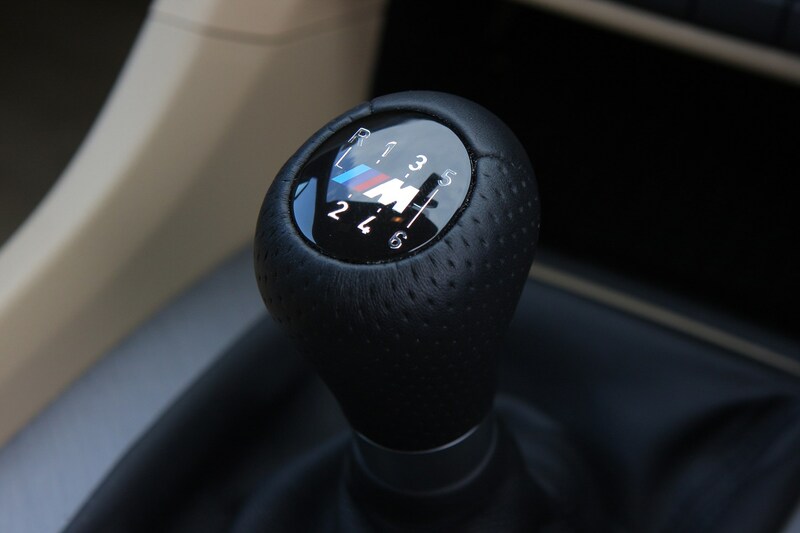 Both the 18d and 20d models come with a six-speed manual gearbox as standard, although it's a little clunky, especially when trying to change gears quickly. 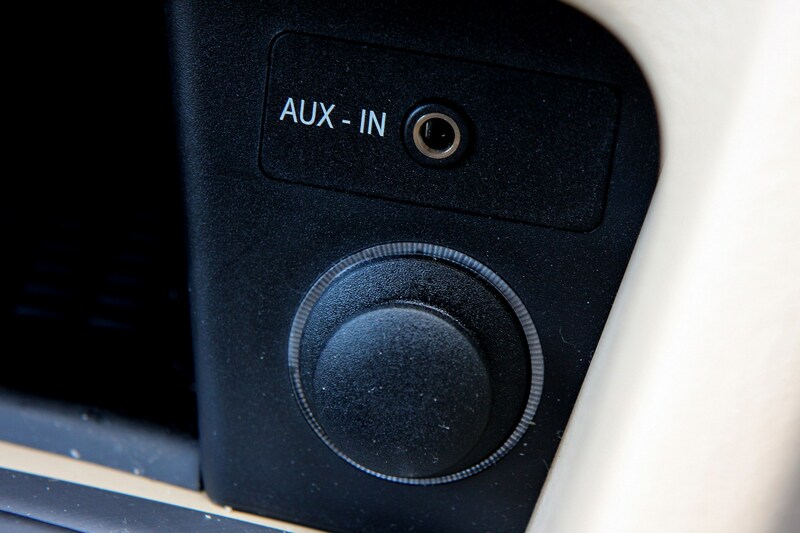 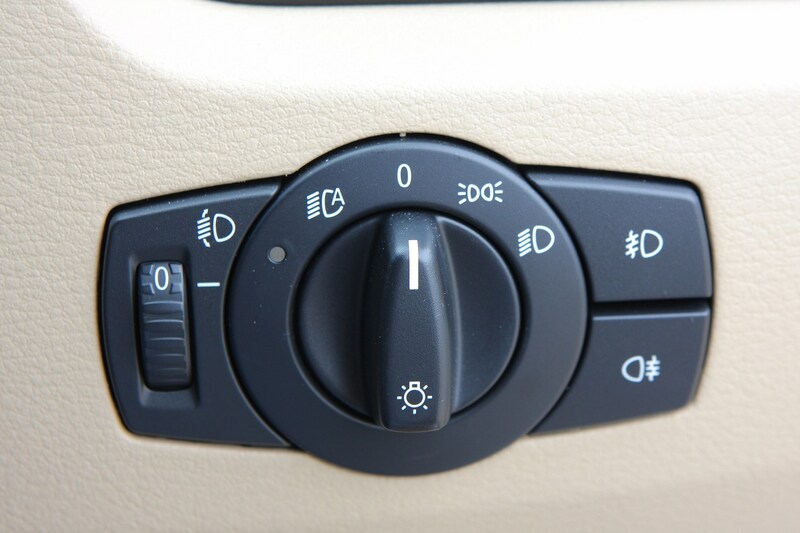 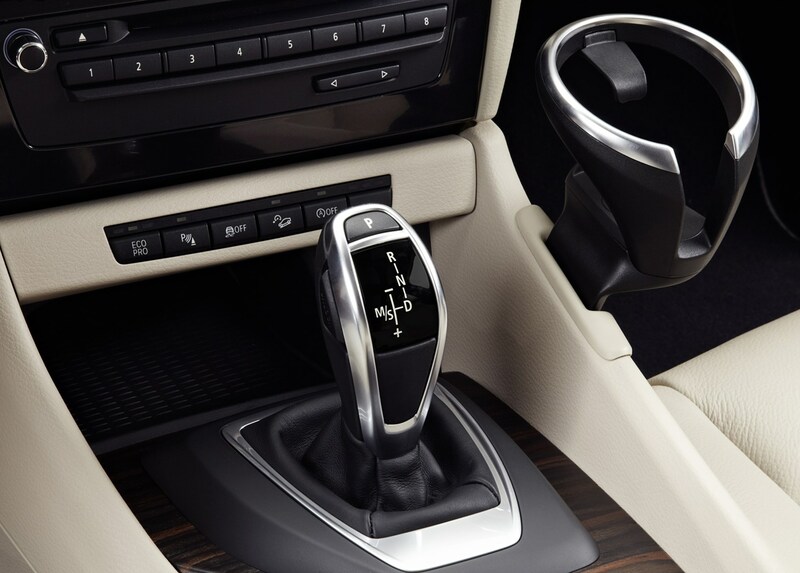 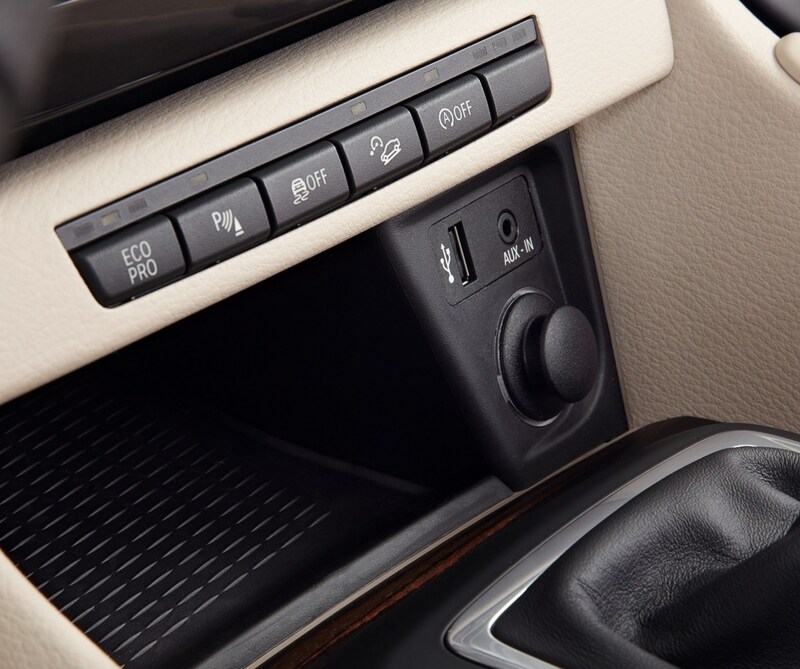 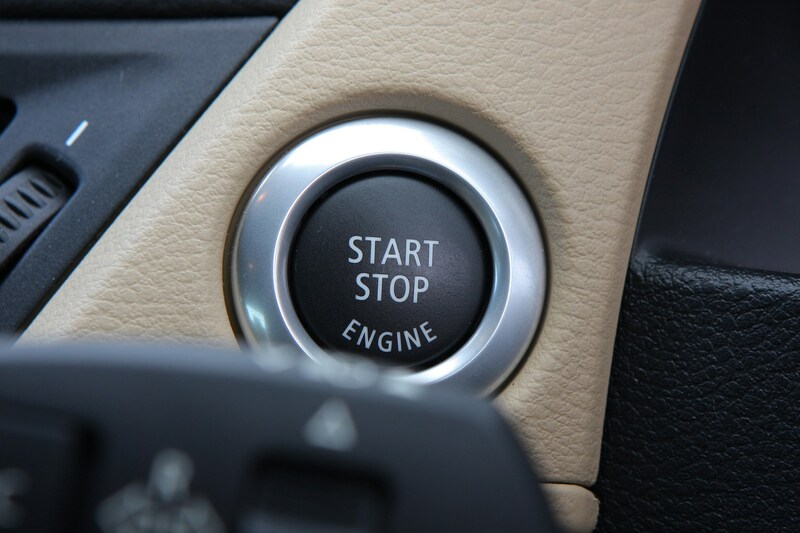 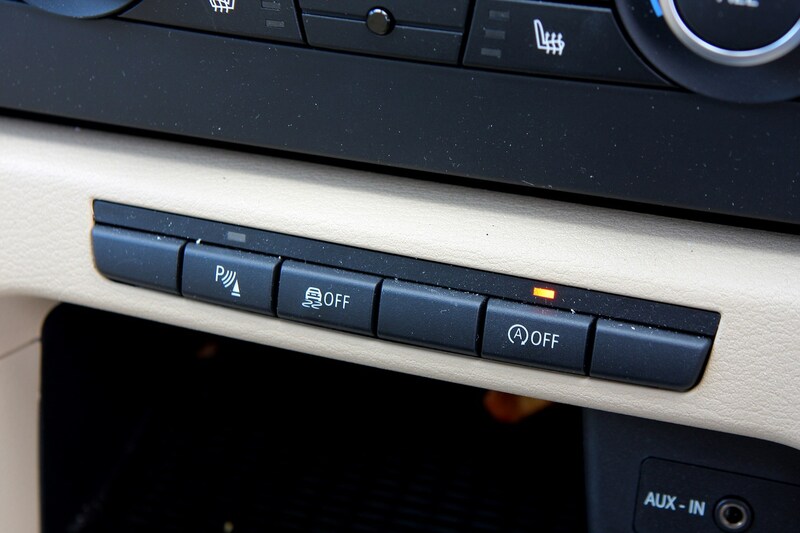 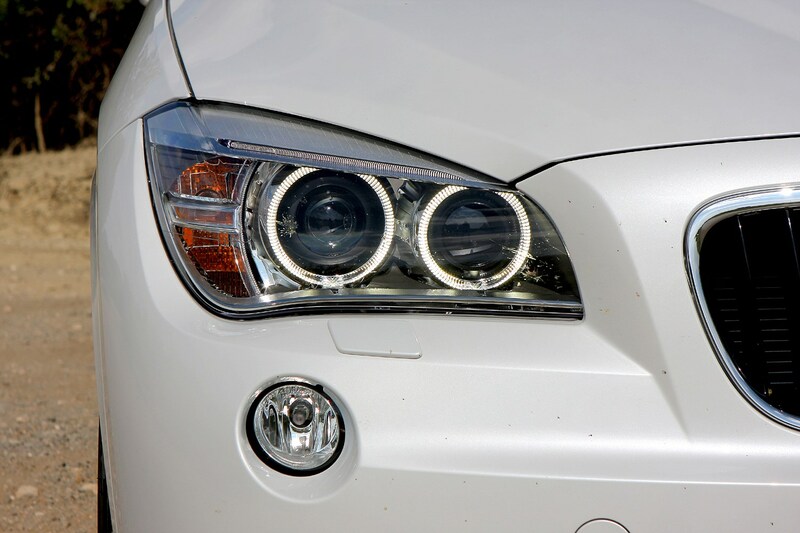 An optional six-speed automatic is available on the 20d models. 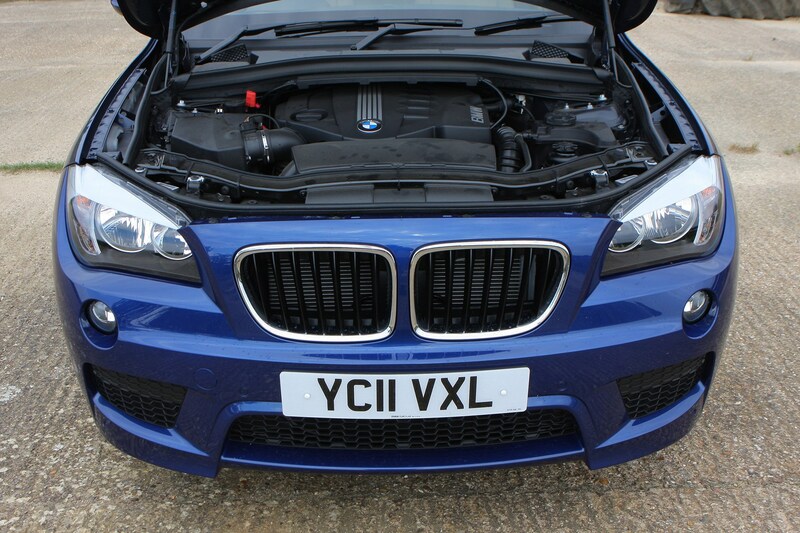 The top of the range variant is the four-wheel drive xDrive23d which uses twin turbochargers to boost power to an impressive 204bhp along with masses of pulling power across the rev range. 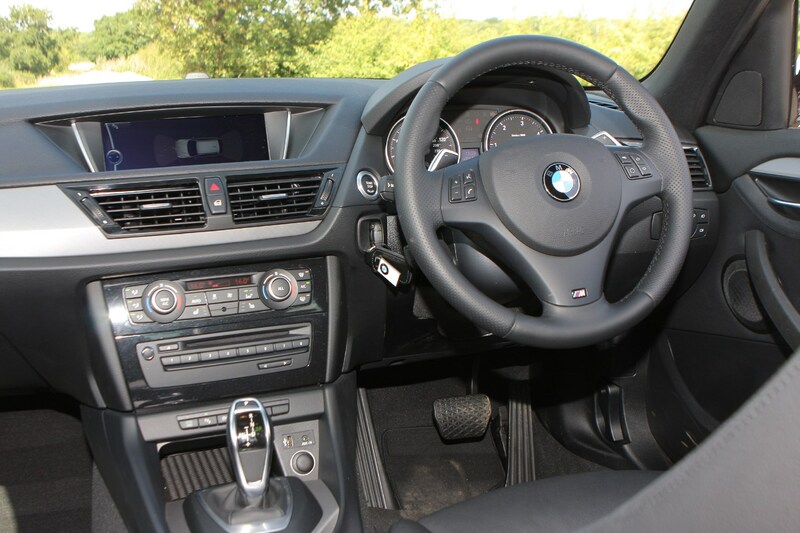 It comes with a six-speed Sport automatic gearbox as standard which features gear shift paddles located behind the steering wheel, helping it accelerate from 0-62mph in just 7.3 seconds while still returning 45mpg. 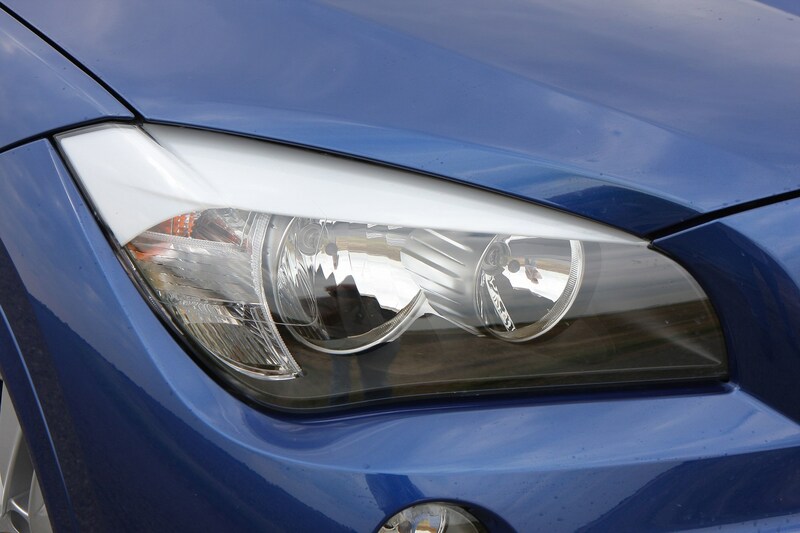 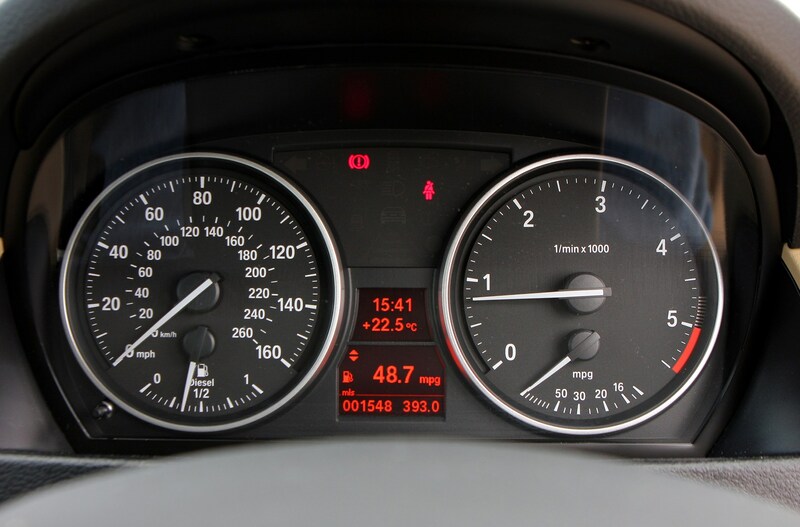 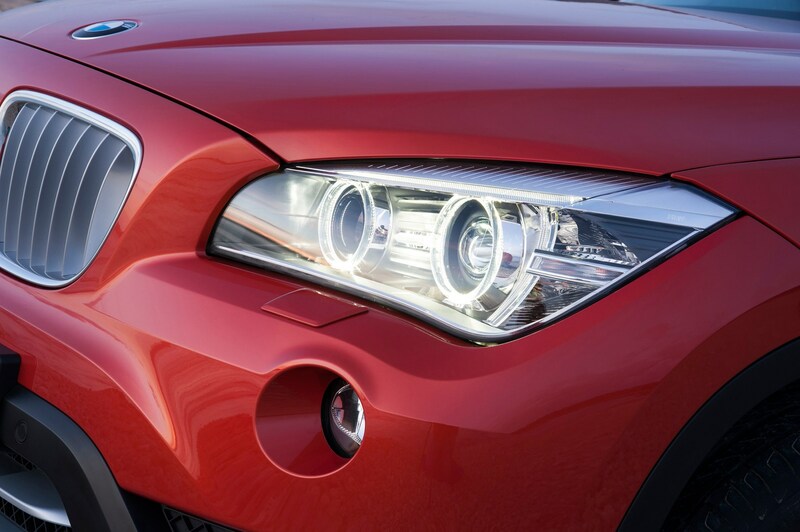 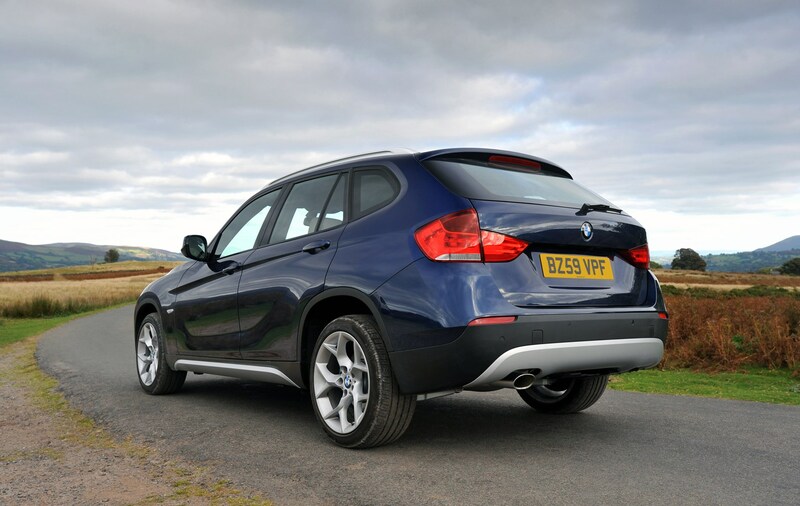 The X1 xDrive20d EfficientDynamics arrived in mid-2011 and has a 163bhp version of the 2.0-litre turbodiesel to offer 62.8mpg and emissions of 119g/km. 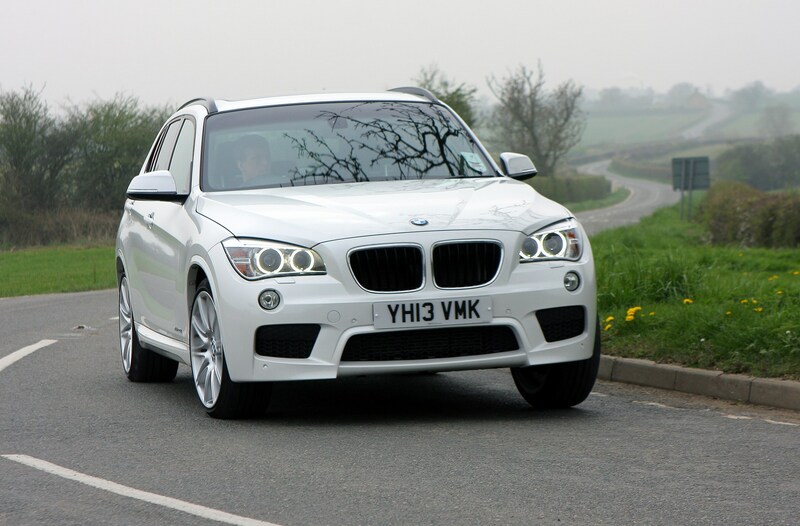 It sees off 0-62mph in 8.3 seconds, so going green need not mean giving up performance and fun. 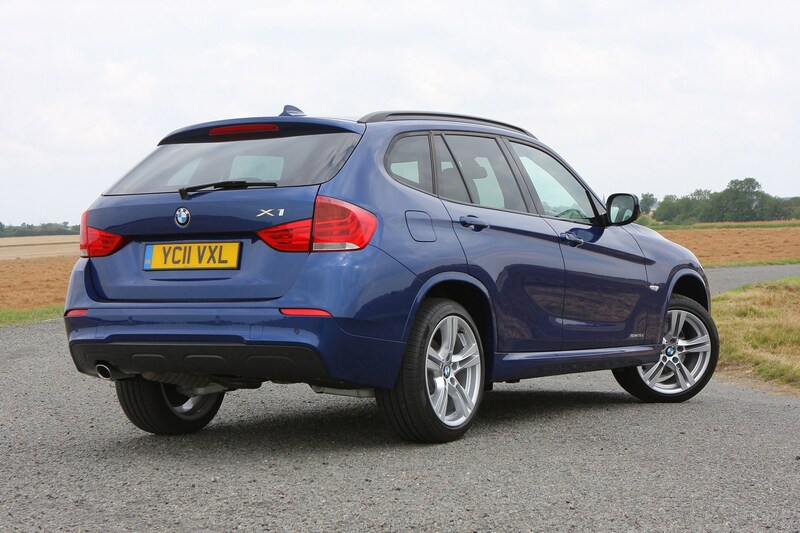 When the xDrive20d EfficientDynamics is priced at the same point as the sDrive20d and offers better economy and emissions with little performance drop-off, it has to be the one we’d recommend. 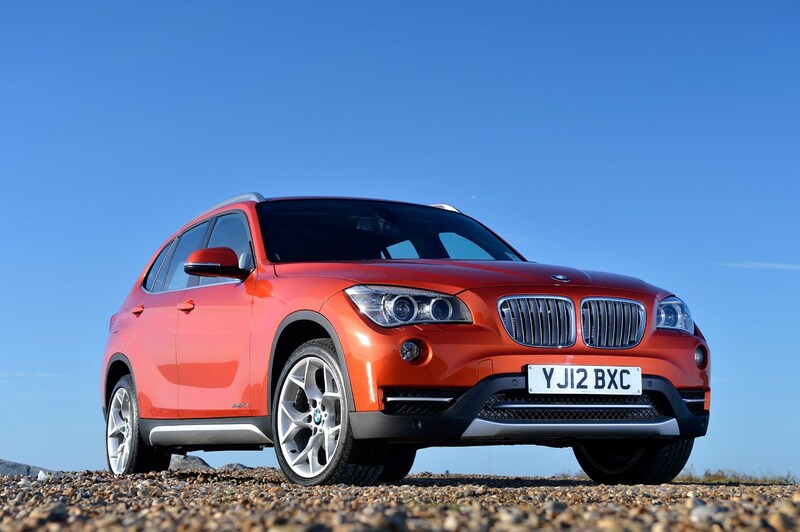 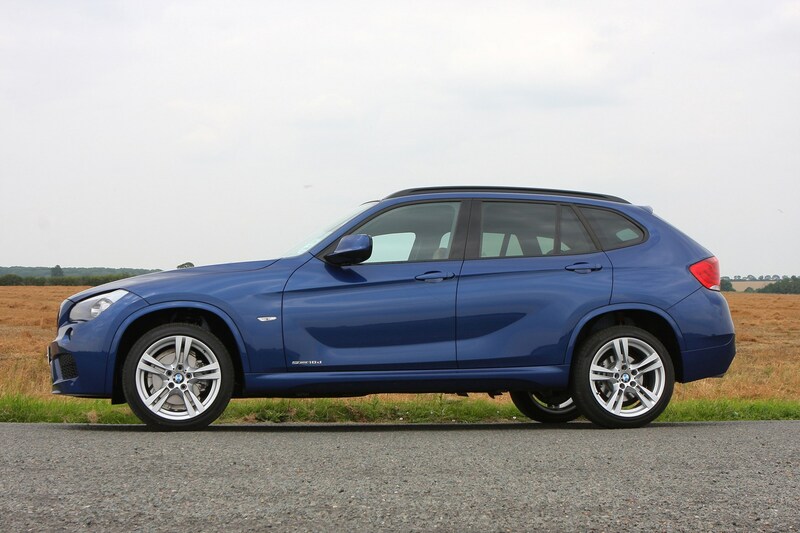 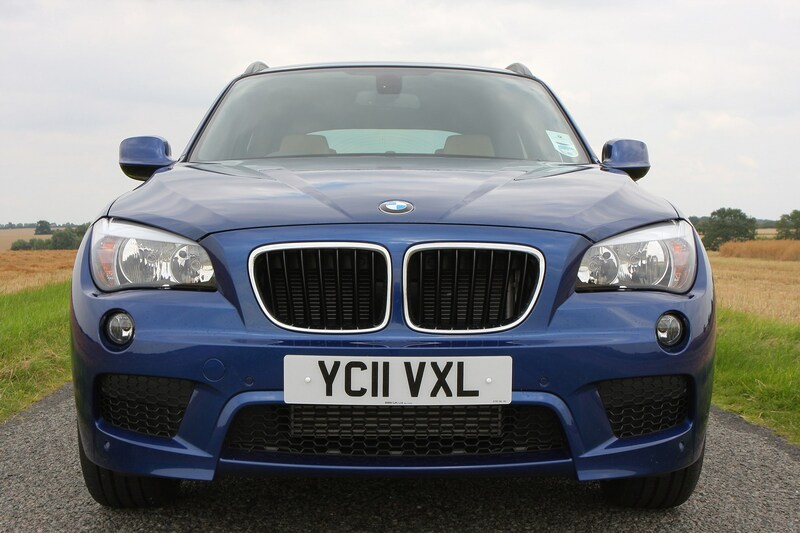 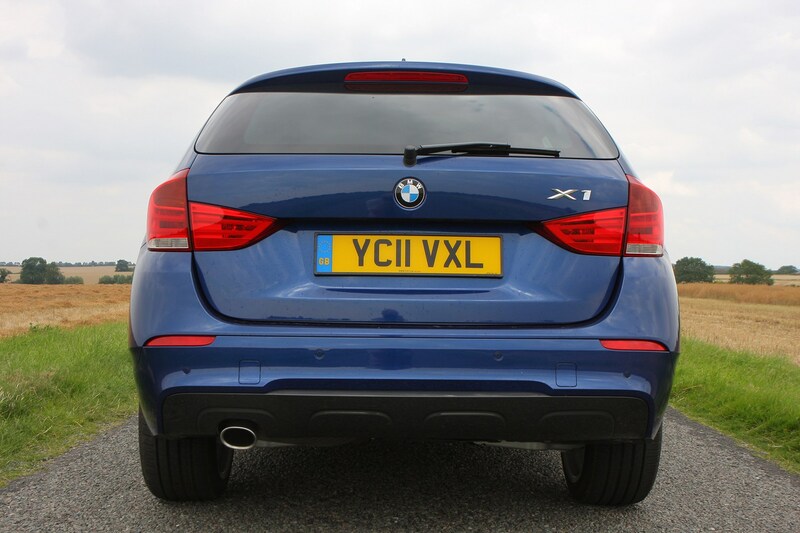 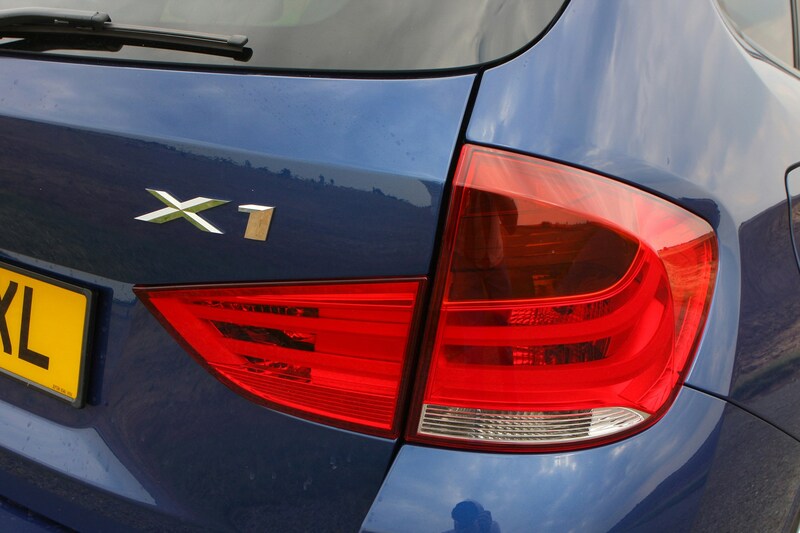 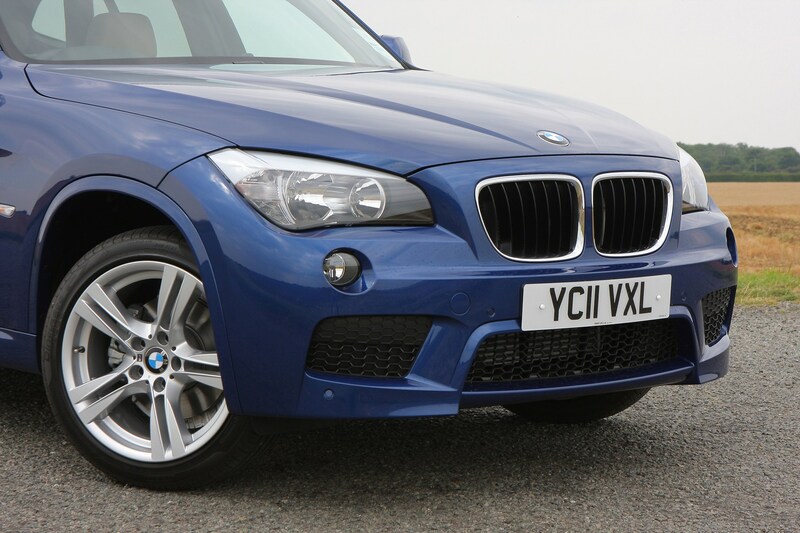 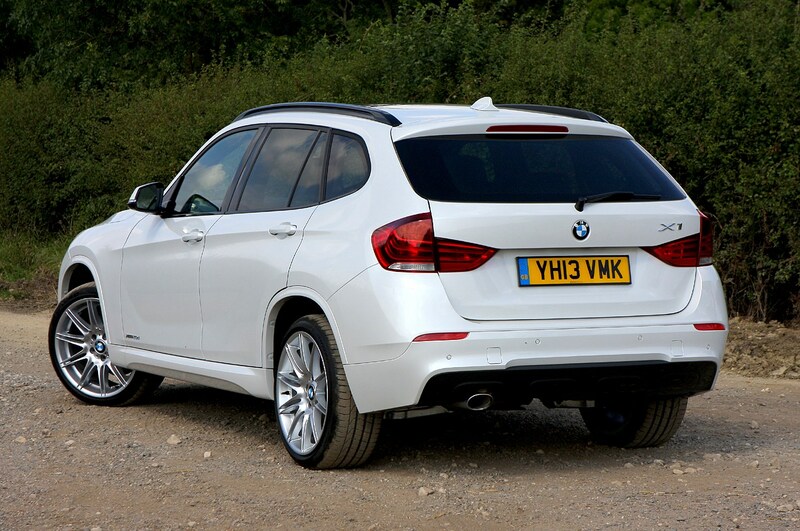 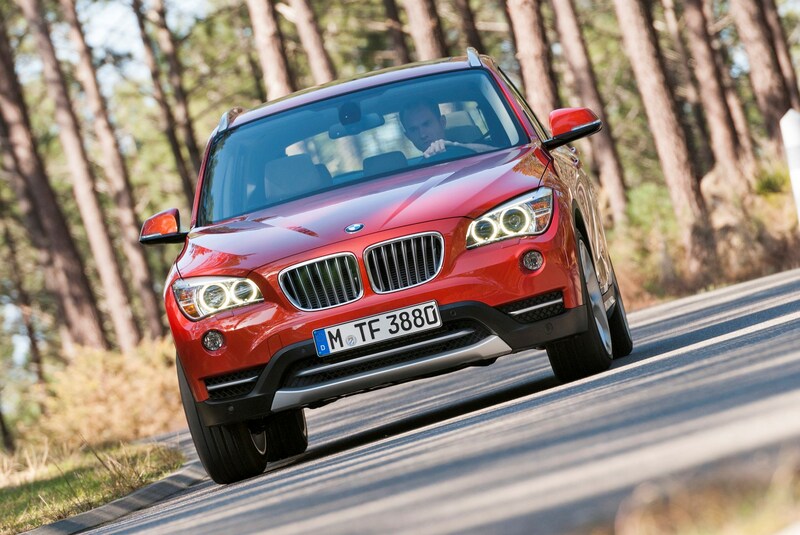 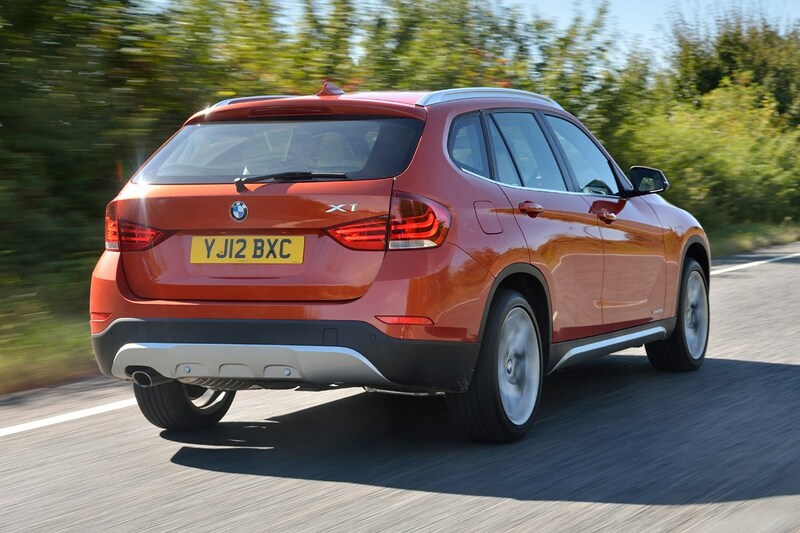 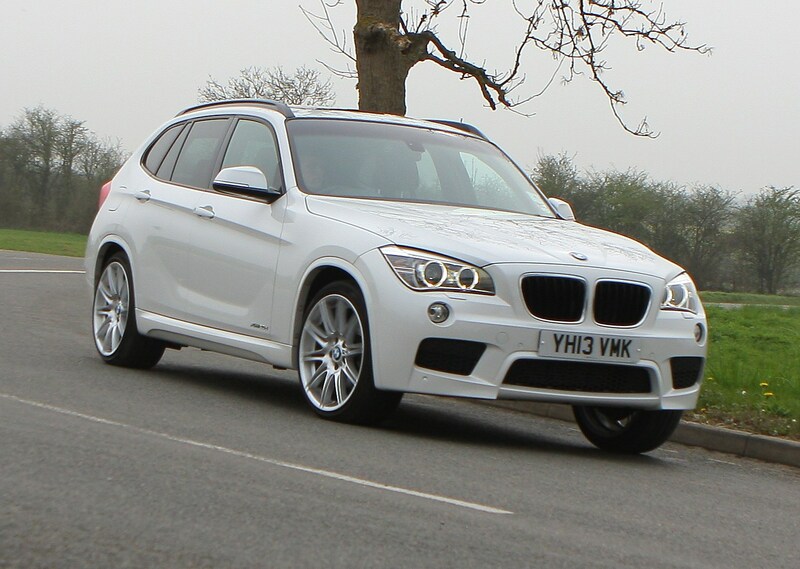 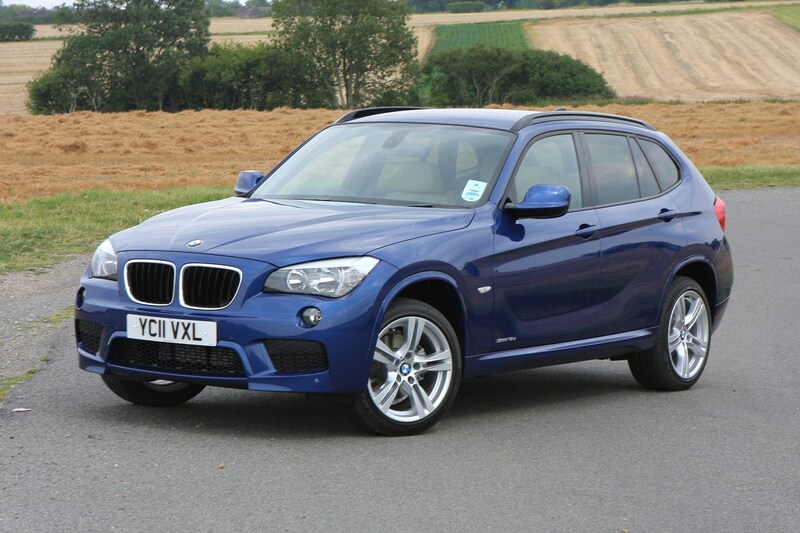 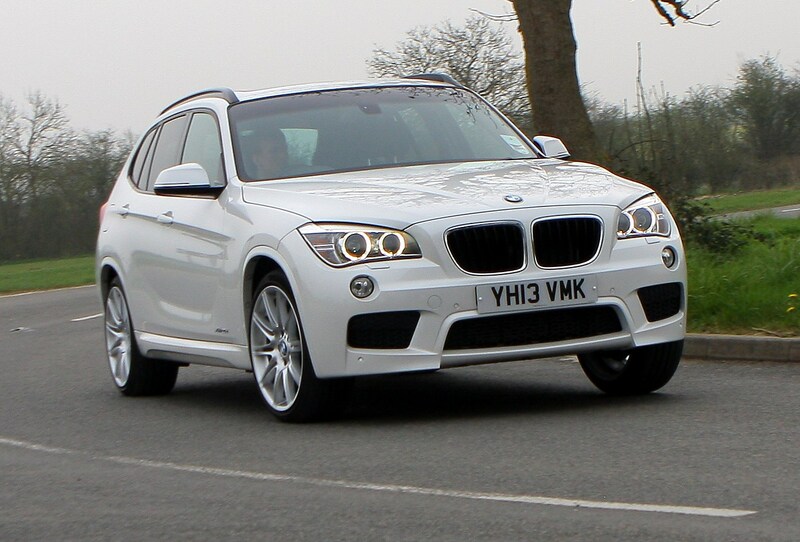 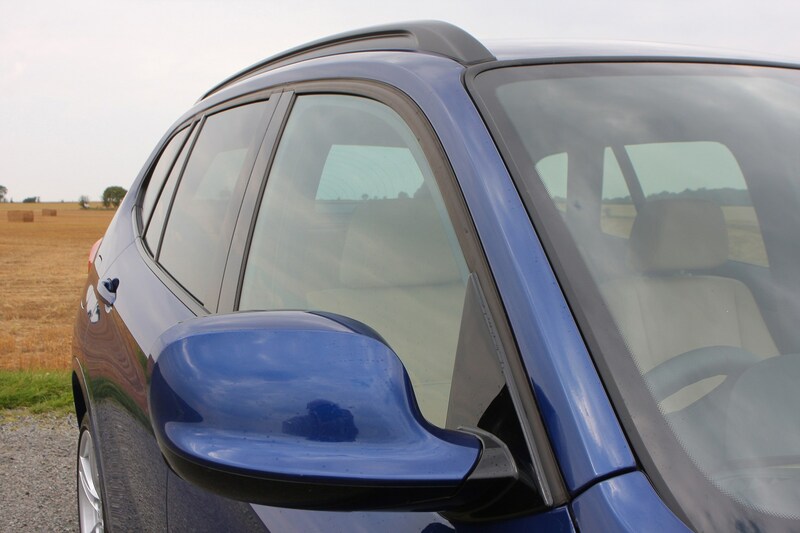 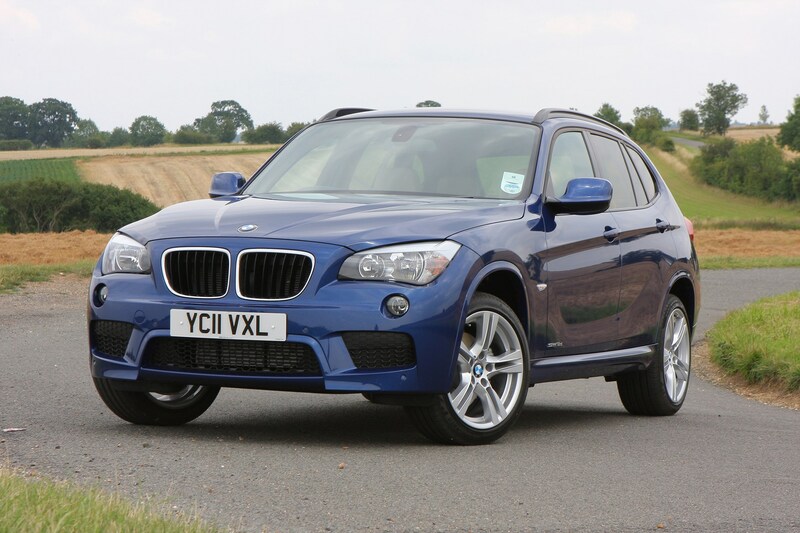 While it may be described as an offroader or 'SUV', the X1 drives very much like a normal saloon or estate car. 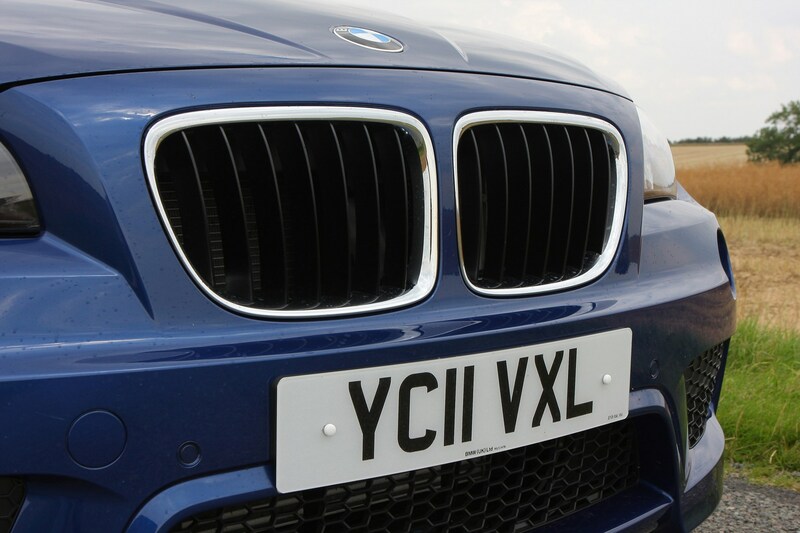 This is helped by the fact that many of the components underneath are shared with the 2005 3-Series Touring. 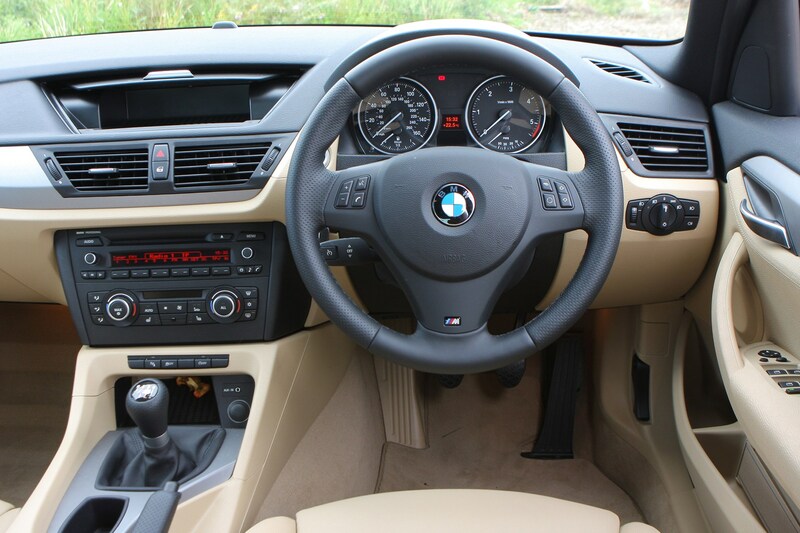 It's agile with well weighted and responsive steering, yet feels stable and surefooted when cruising at higher speeds. 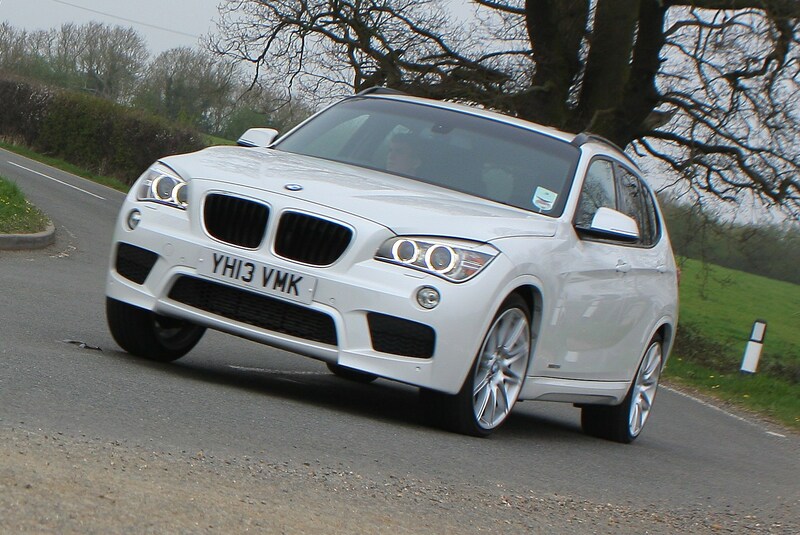 It's flat in corners too with well controlled body roll and plenty of grip. 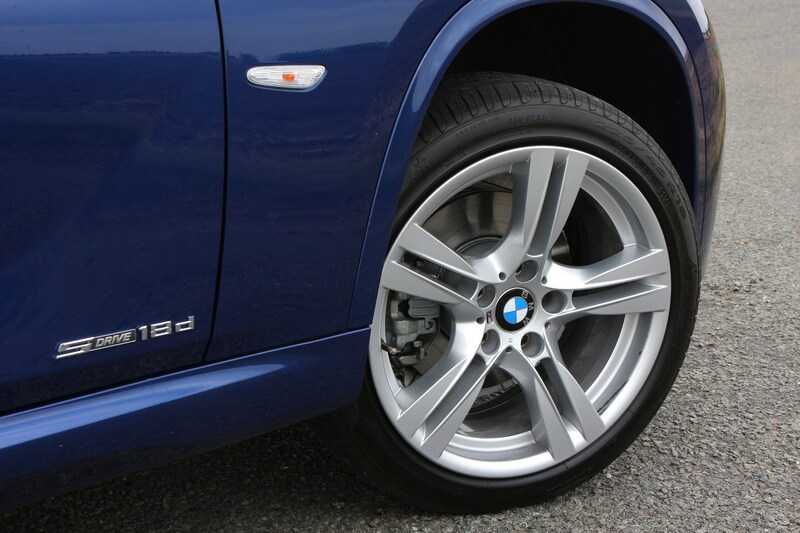 A trade-off for this is a slightly firm ride, even on the standard 17-inch wheels. 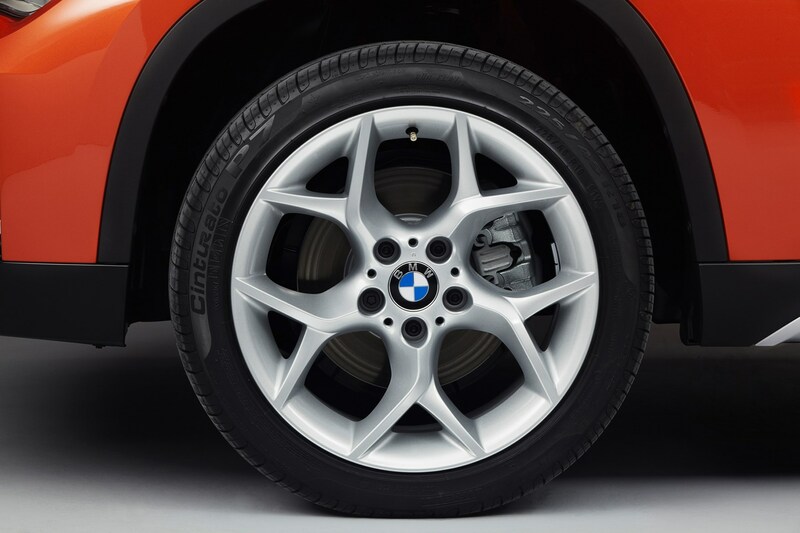 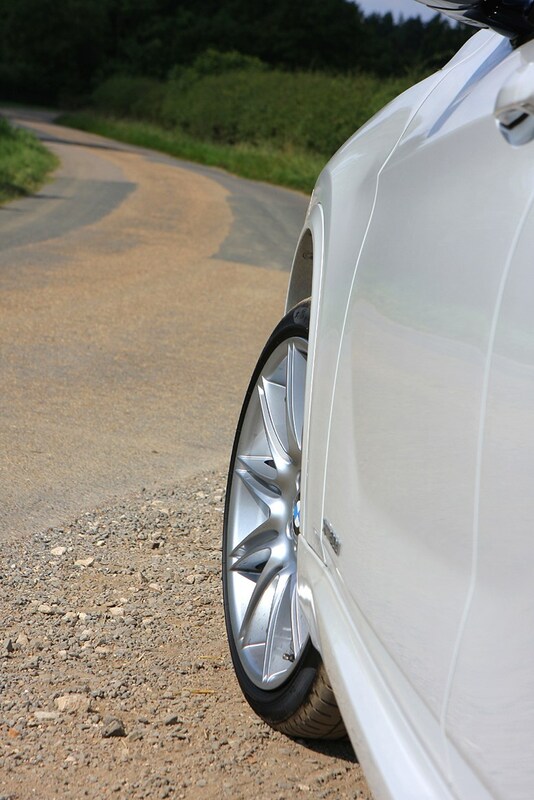 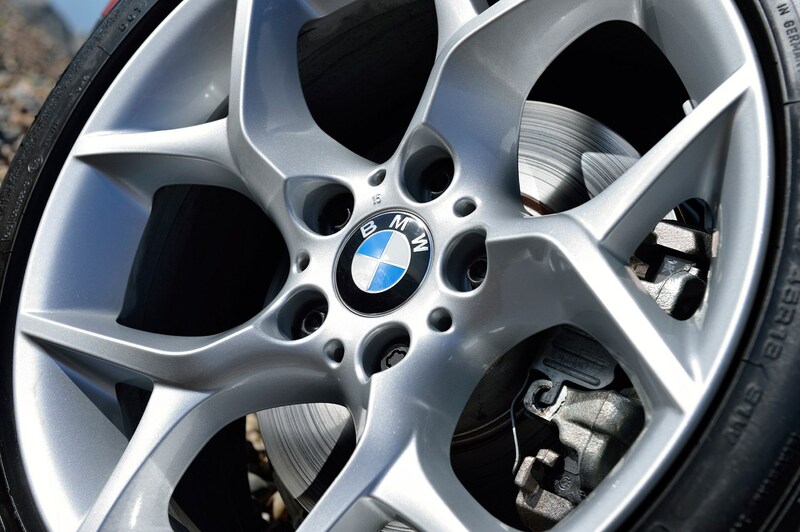 Think carefully before upgrading to larger alloys if ride comfort is a top priority. 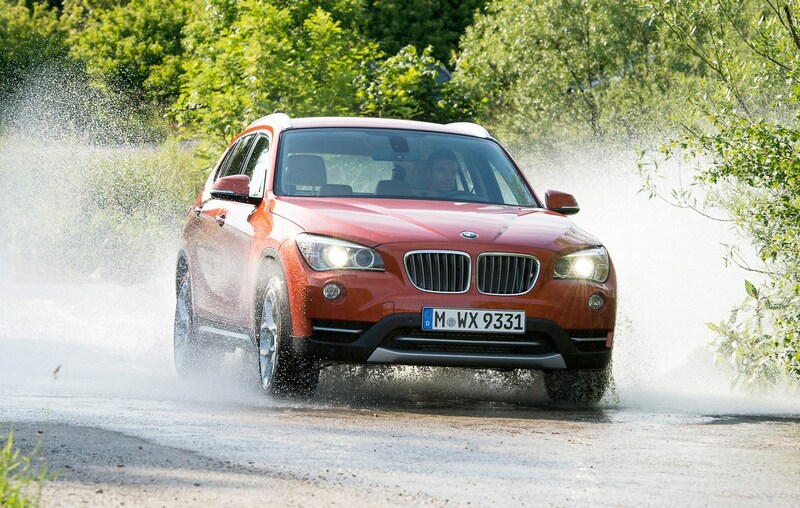 The sDrive models are rear-wheel drive, while xDrive models are four-wheel drive, giving extra traction which is especially useful in the snow or on muddy tracks. 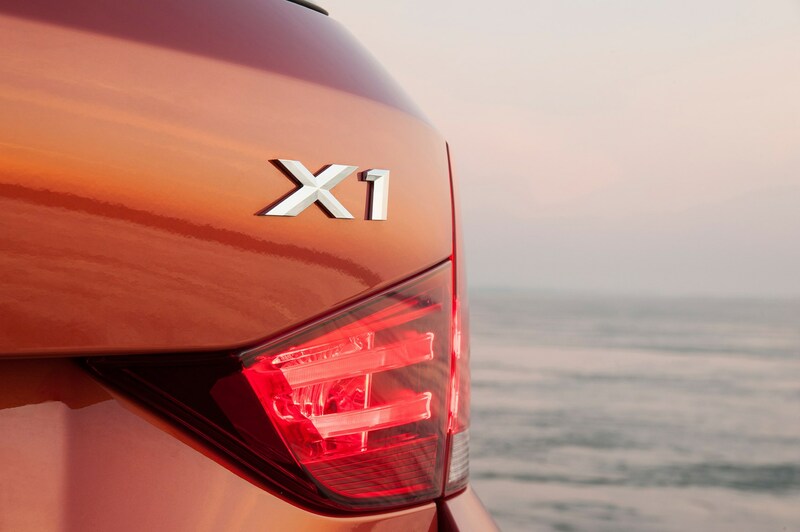 For towing, the X1 has a Trailer Stability Control system which uses the stability control system (DSC) to counteract any snaking or instability caused by a trailer or caravan. 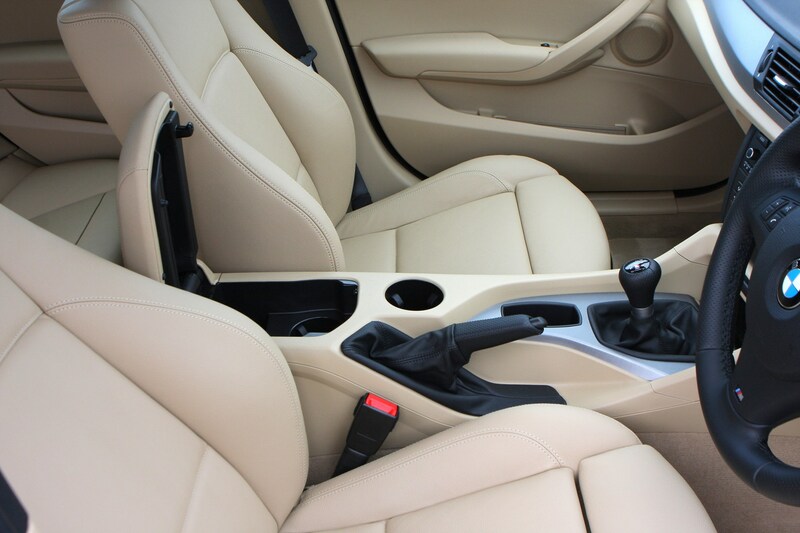 Unusually, there are a few areas where the plastics used don't feel especially upmarket, in particular on the centre console around the gear lever. 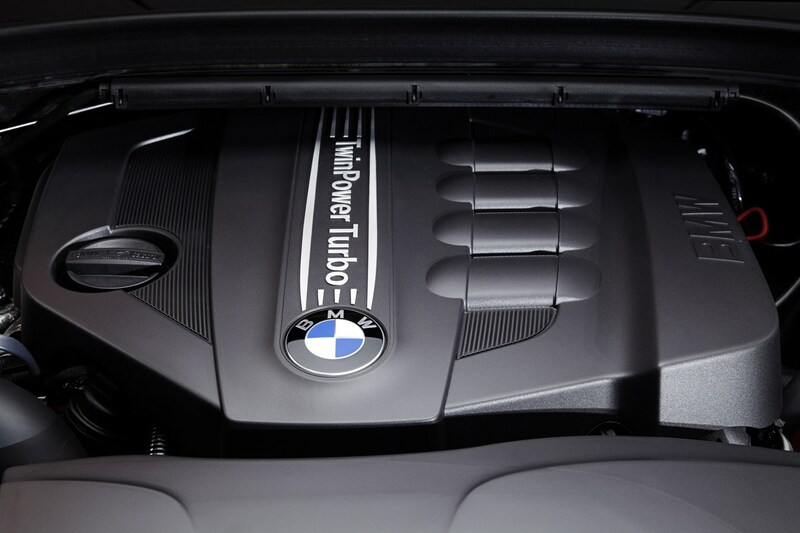 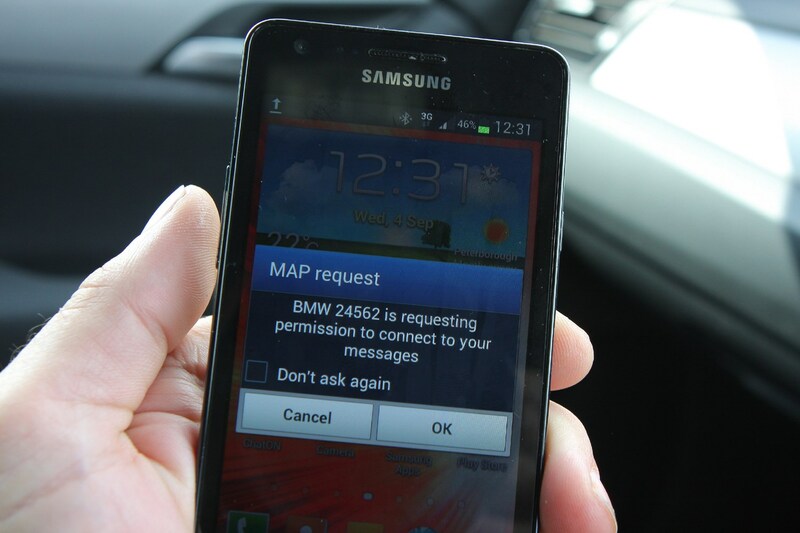 It's certainly not quite what you'd expect on a BMW. 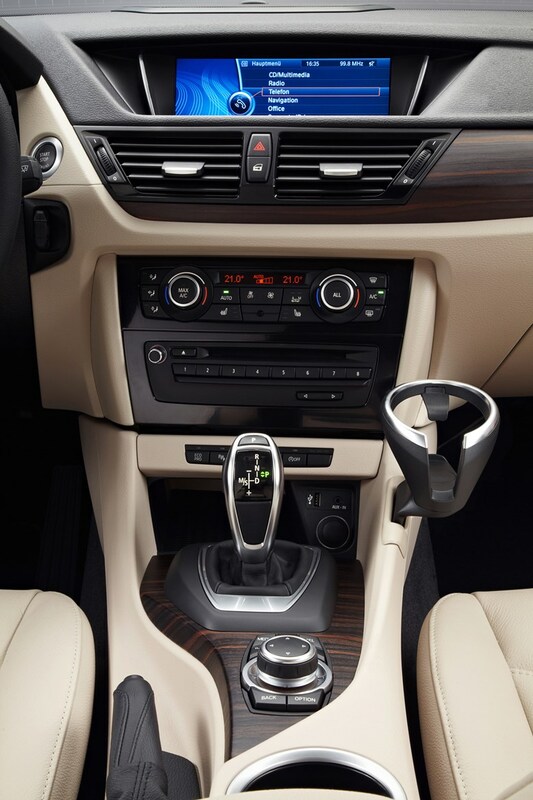 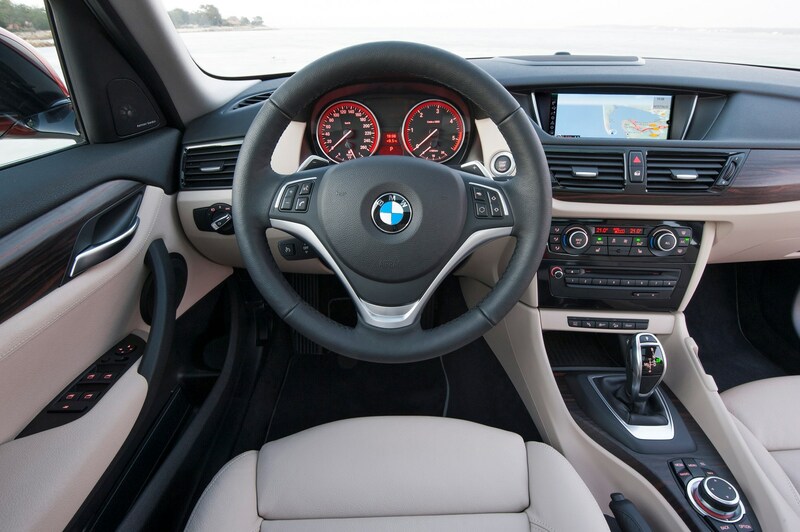 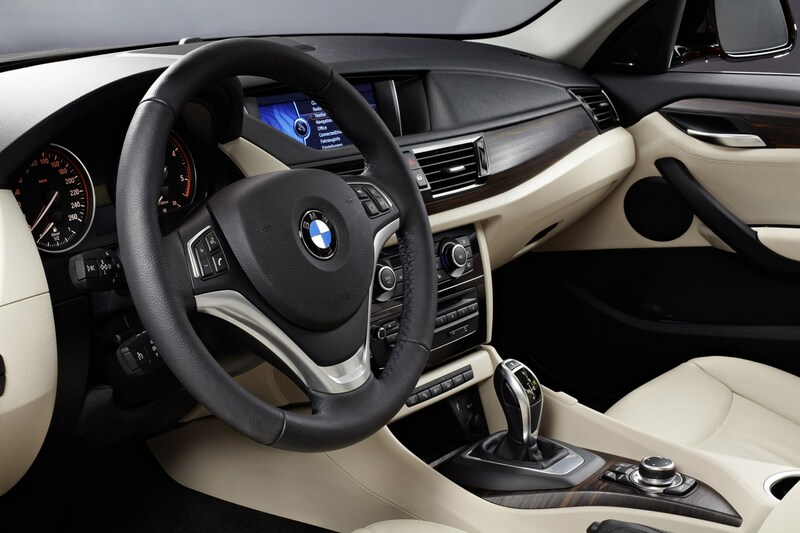 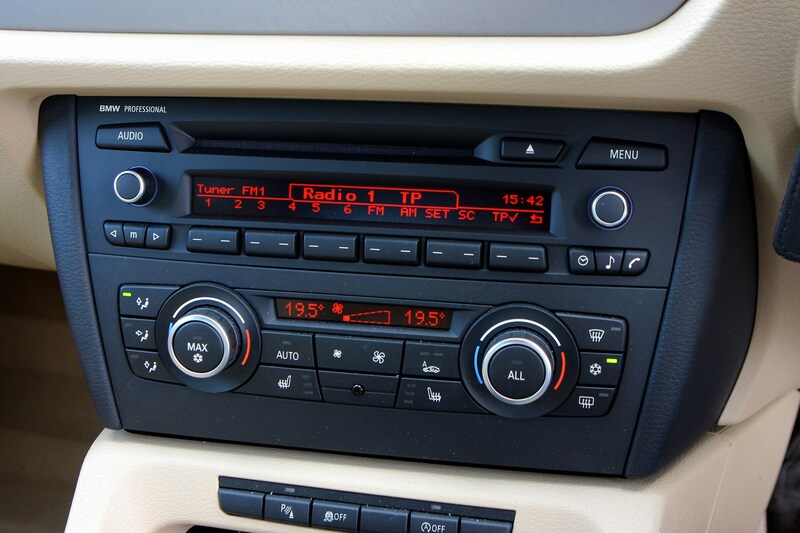 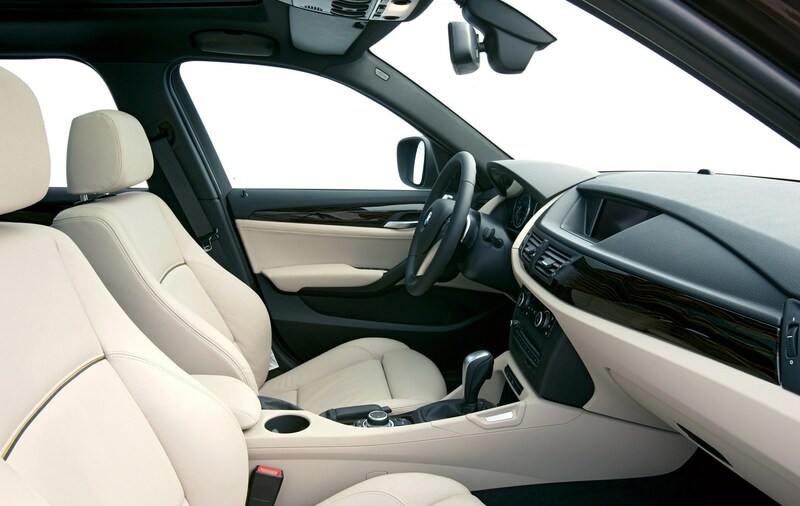 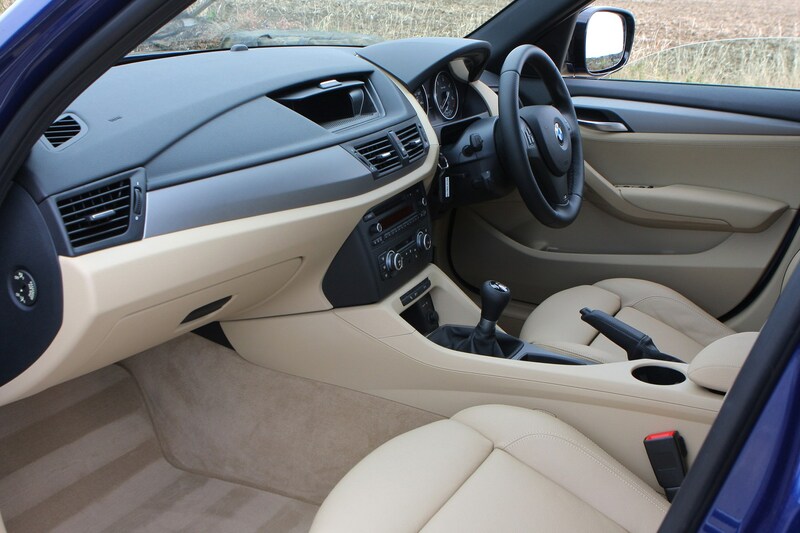 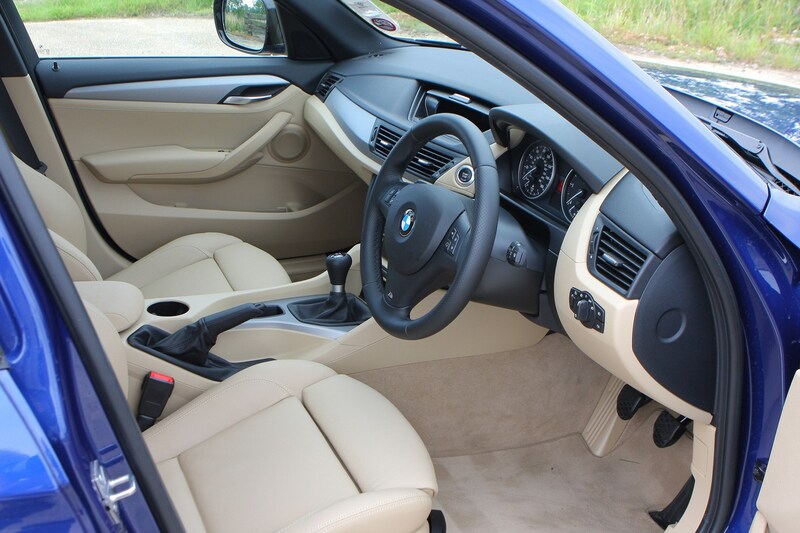 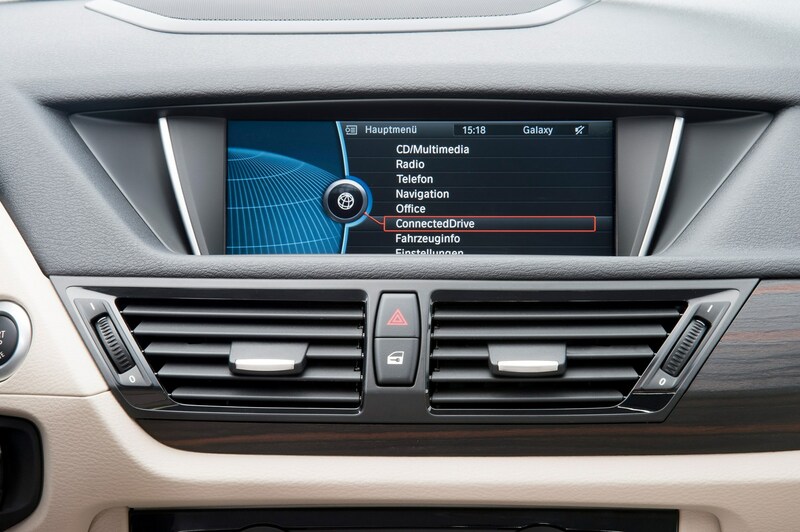 Luckily the rest of the interior retains the same high class feel of other BMW models with a good quality finish and easy to operate air conditioning and stereo controls. 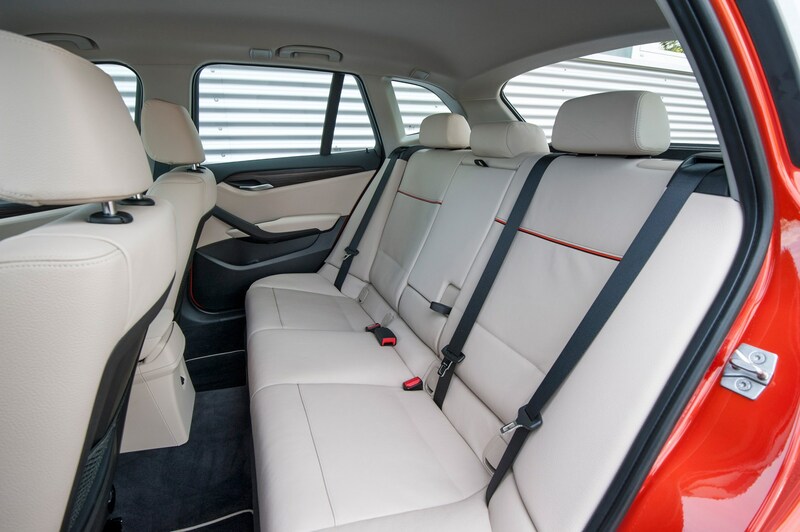 The driving position is good too - raised enough to give you a good view out, but low enough so that it feels like you're driving a normal estate car. 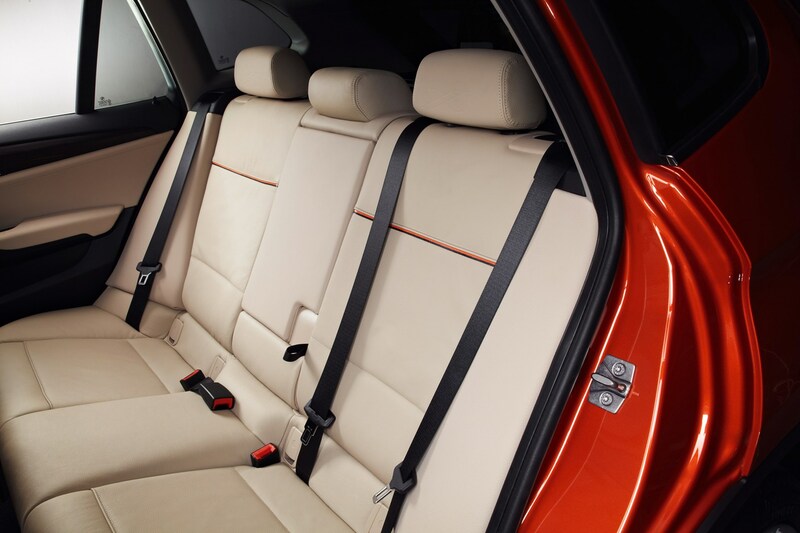 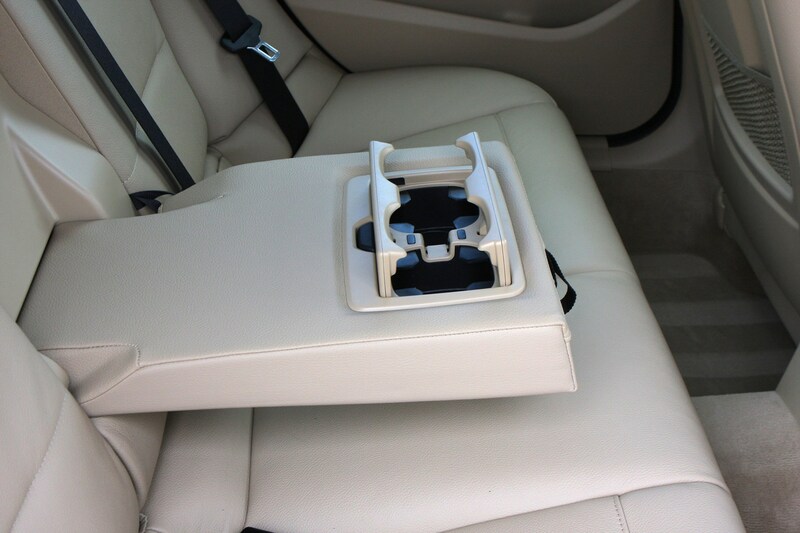 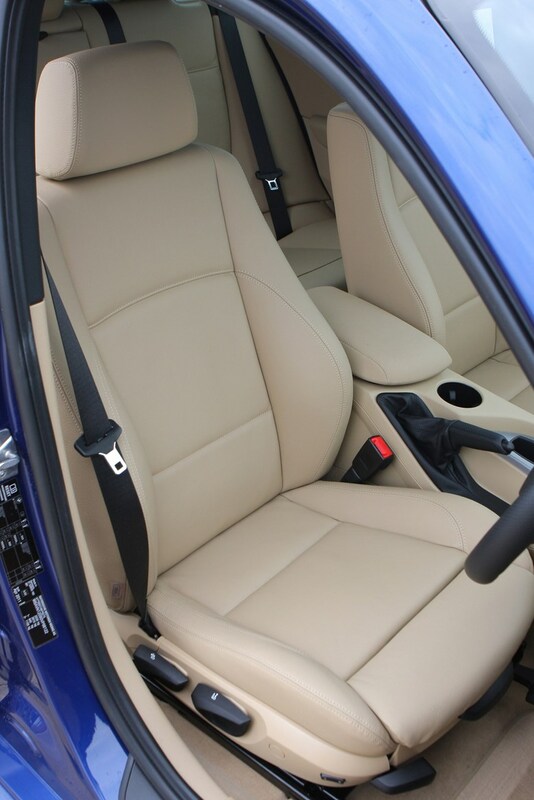 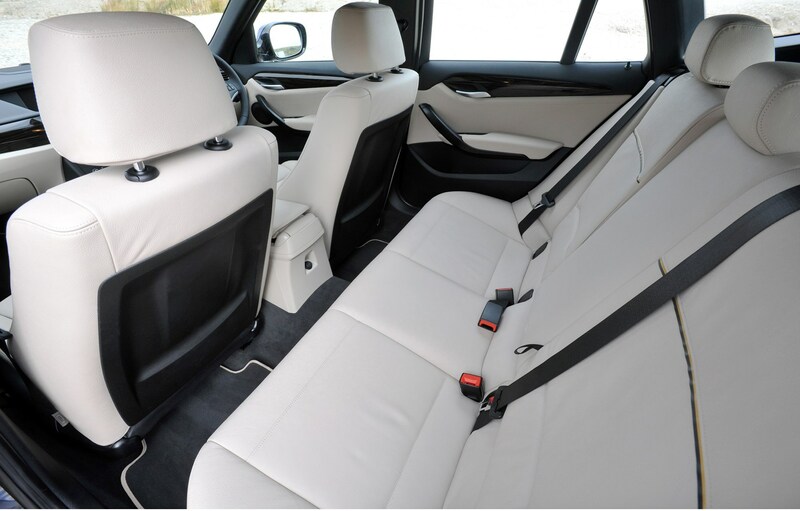 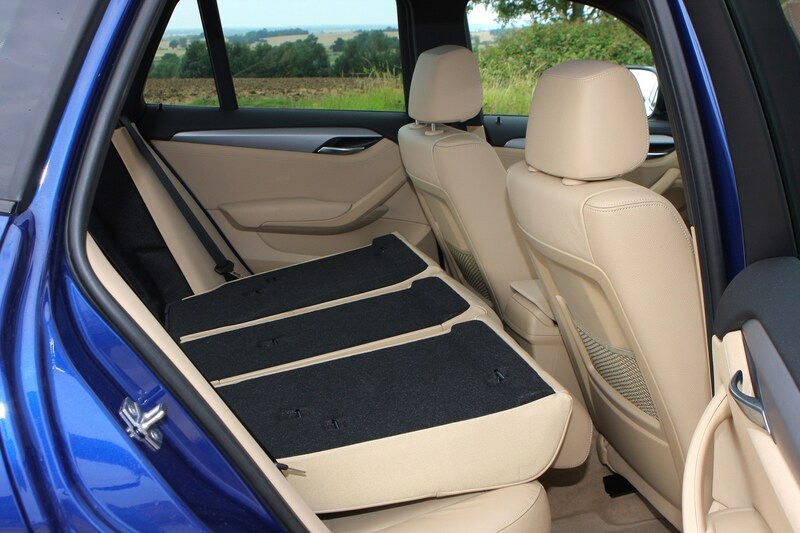 The seats themselves offer plenty of support, ideal if you're going to spend a long time behind the wheel - however lumbar adjustment doesn't come as standard. 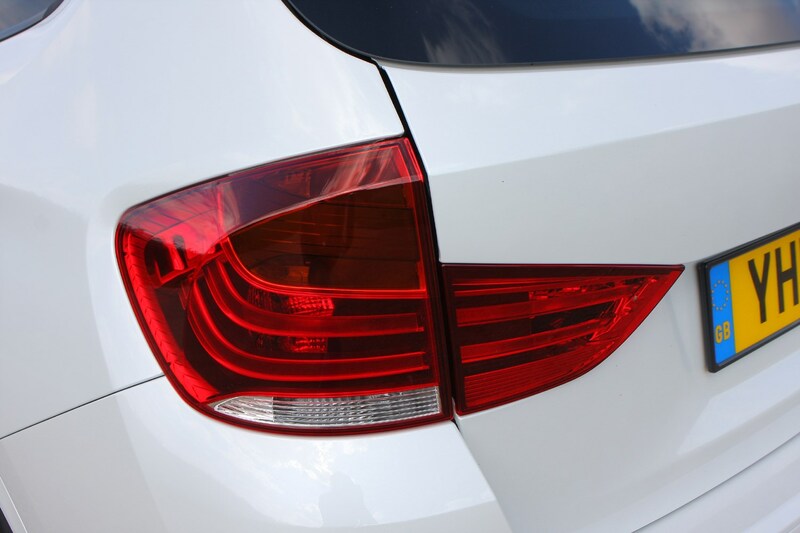 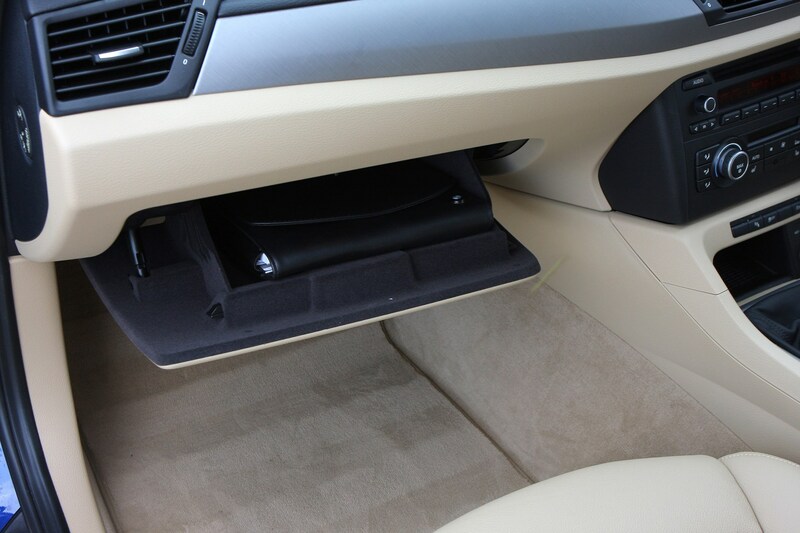 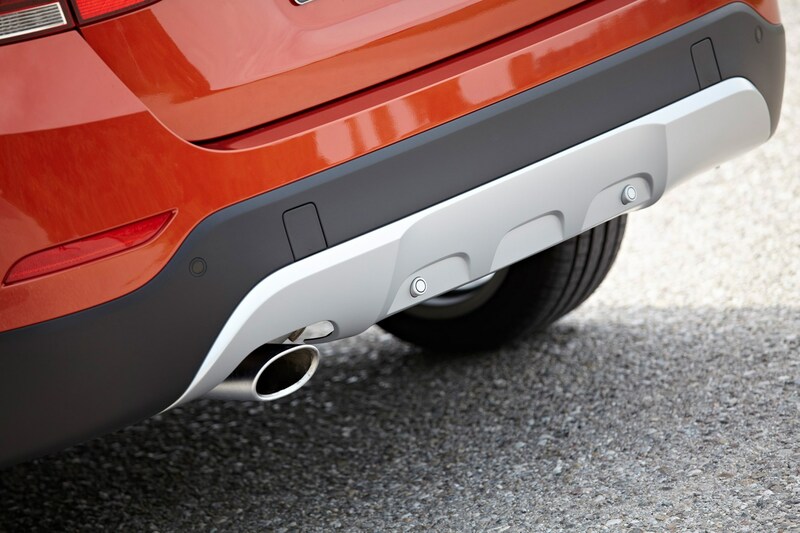 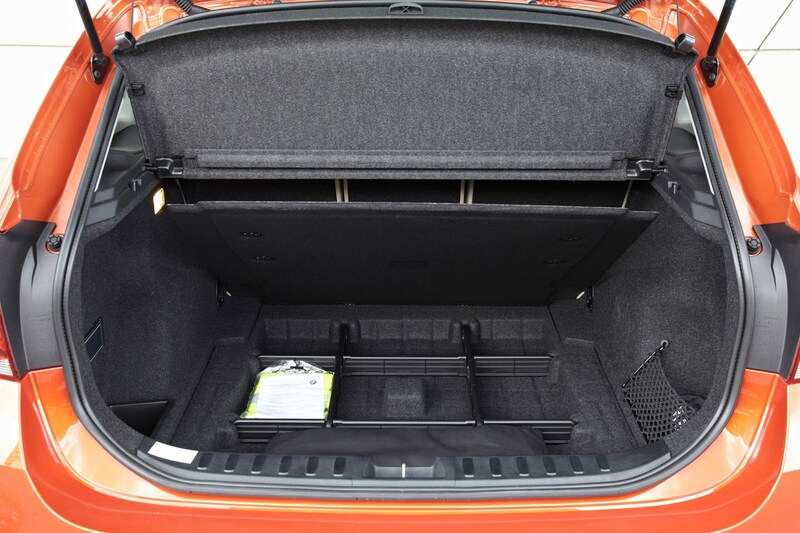 Rear visibility is adequate, but thankfully rear parking sensors come as standard to avoid any scrapes in tight spaces. 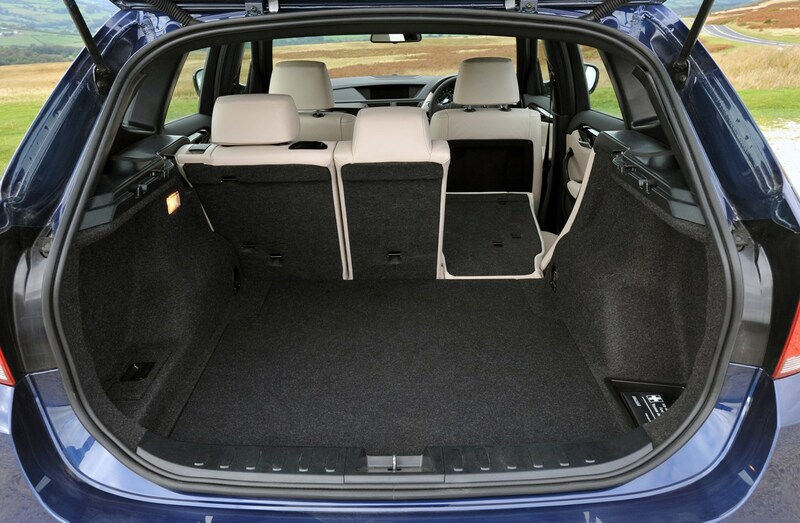 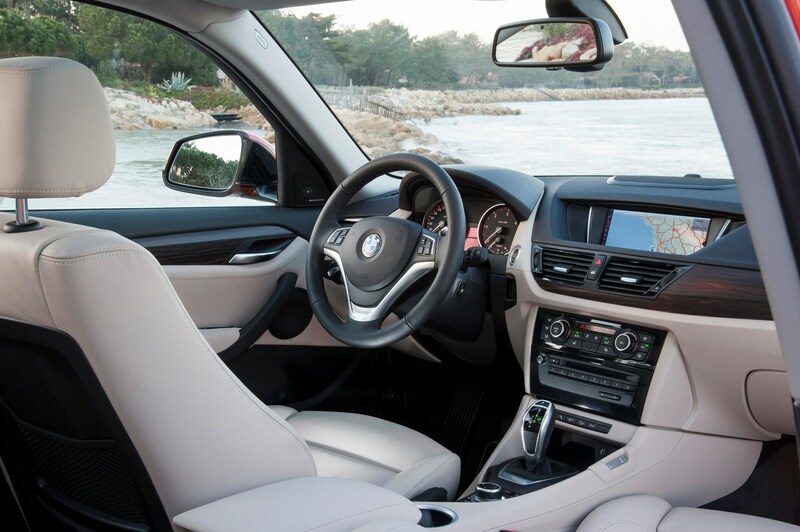 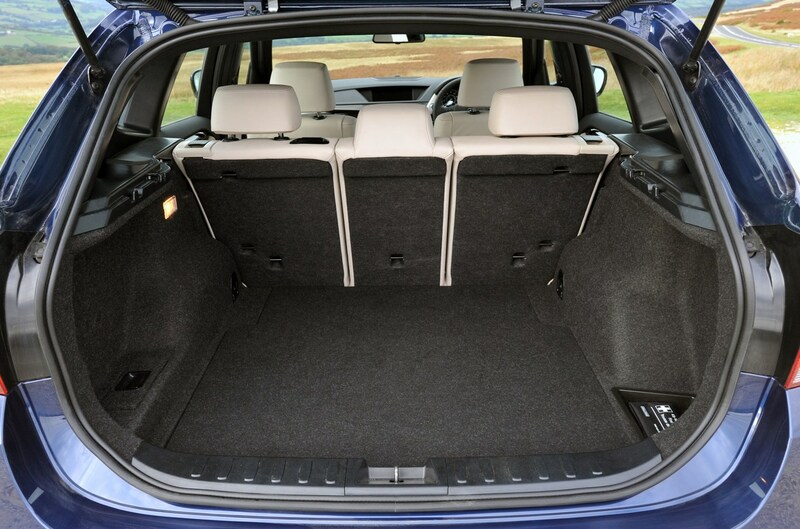 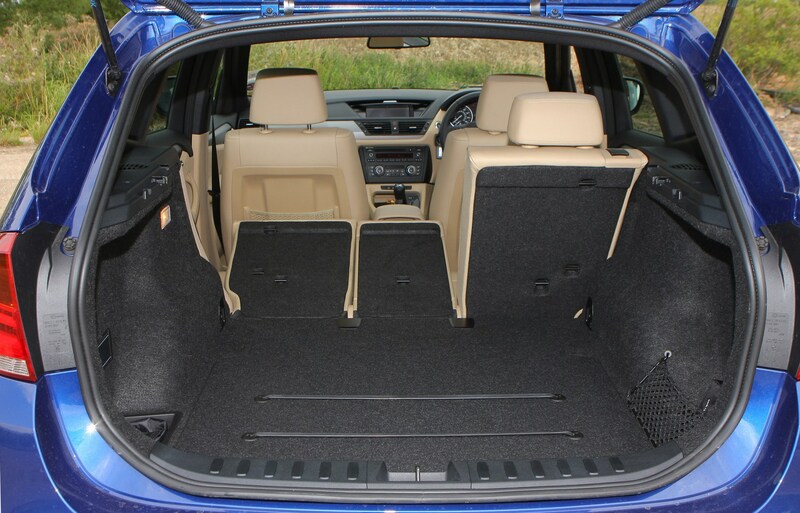 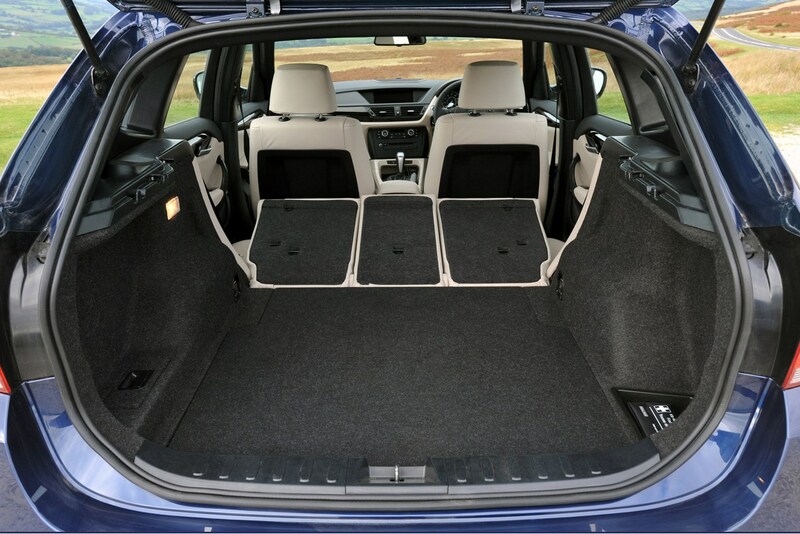 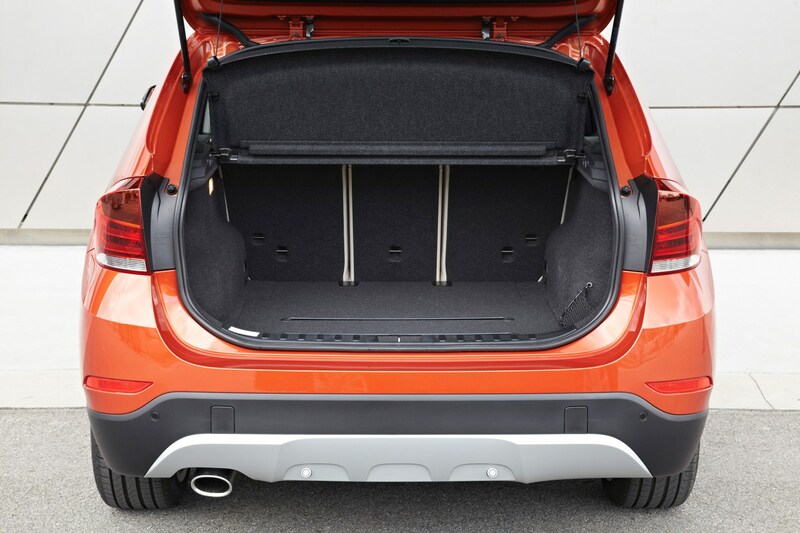 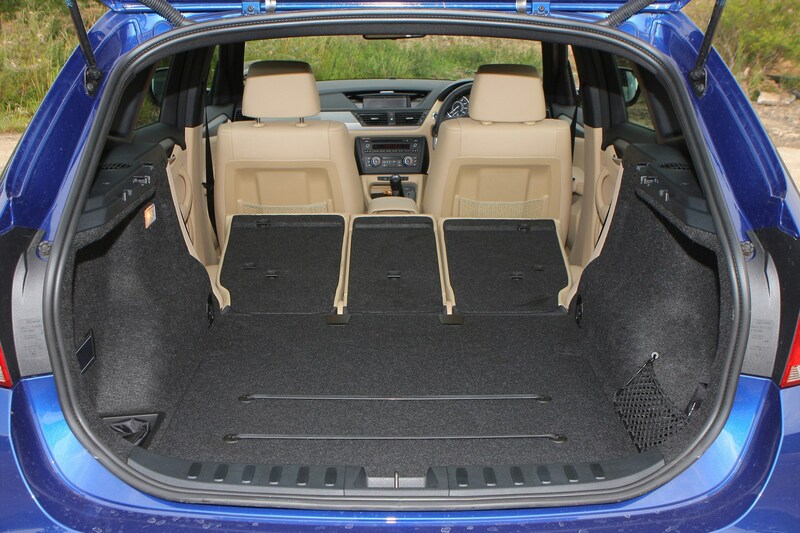 There is plenty of cabin room so BMW X1 4x4 comfort is good, although five adults may find it a squeeze as the large central tunnel in the back means foot space is at a premium. 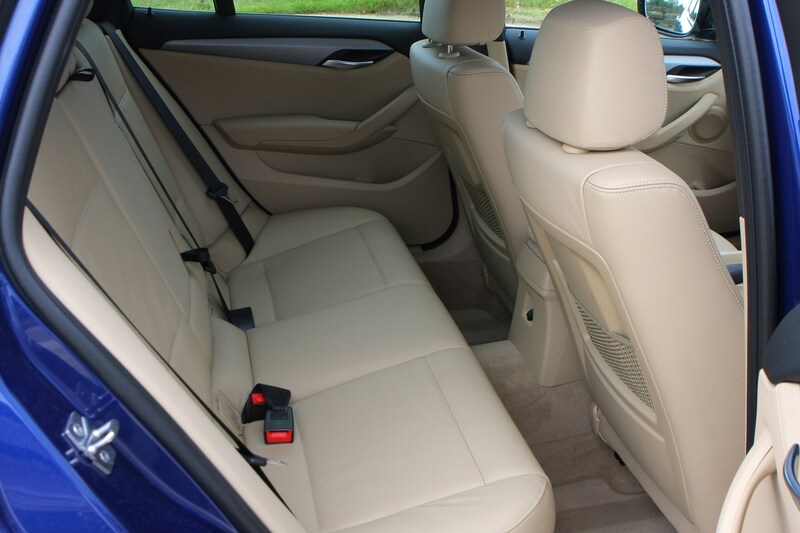 But that aside, there's good head room and the cabin feels light and spacious too. 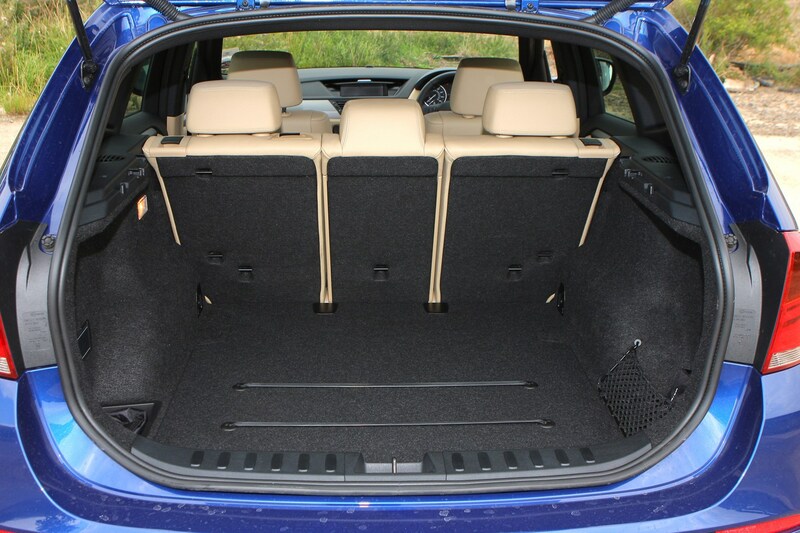 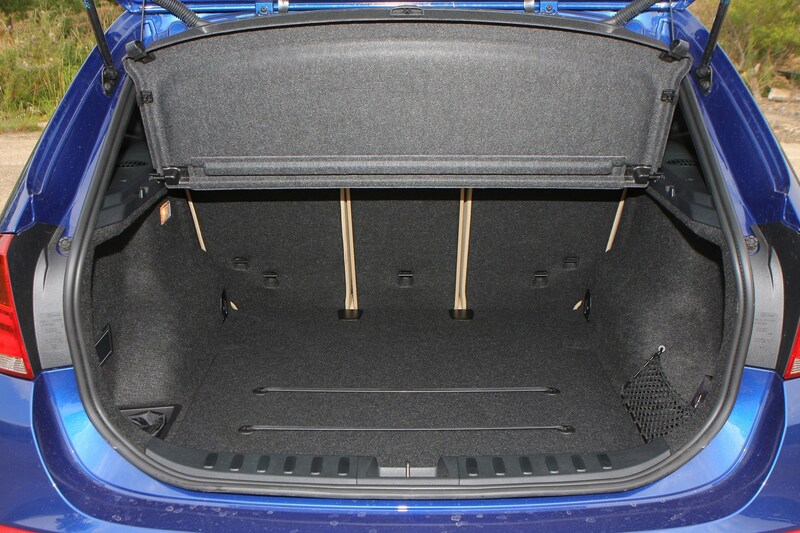 Rear legroom is adequate but with the front seats slid all the way back, it's reduced significantly and quite limited. 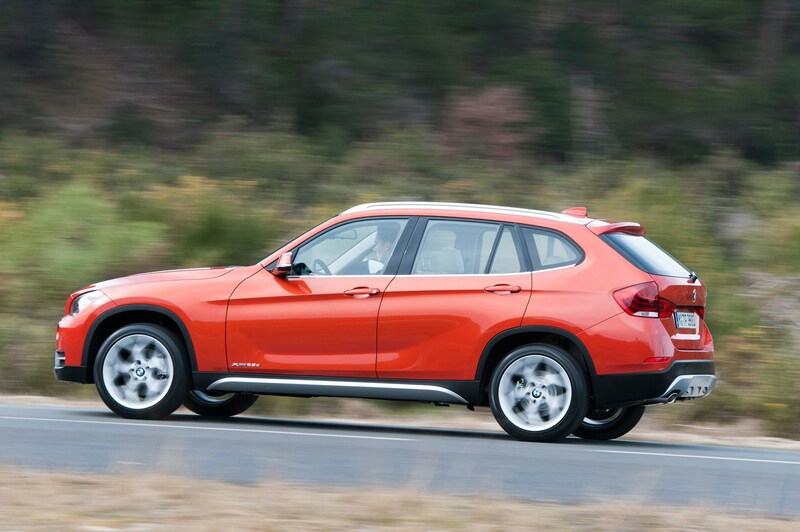 There is some wind noise at higher speeds, but overall the X1 is very quiet when cruising with good insulation from engine sound. 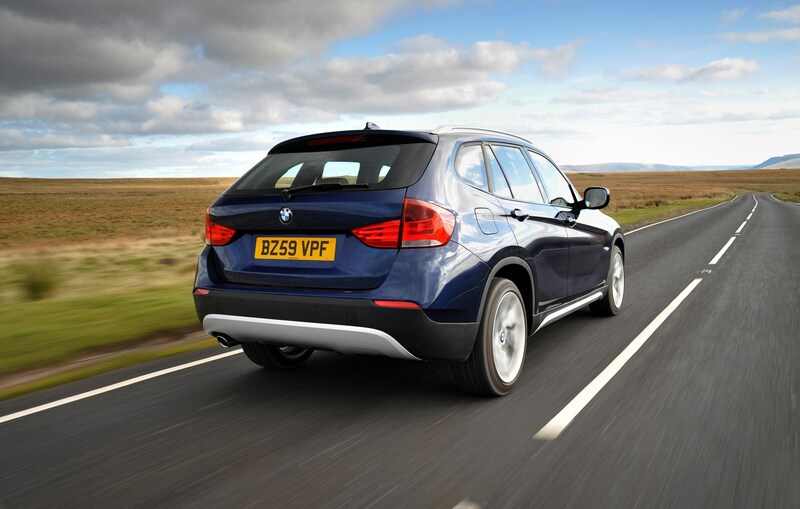 The ride is a touch firm, which is noticeable on bumpy roads, but on motorways it's forgiving enough to make long journeys fly by.